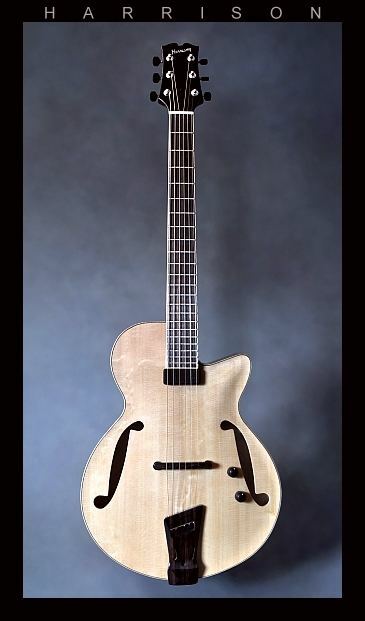 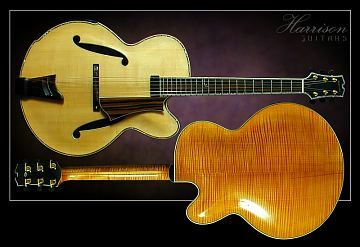 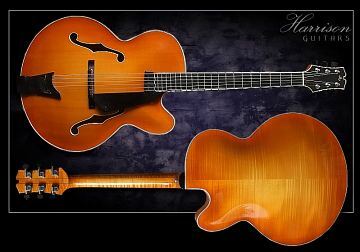 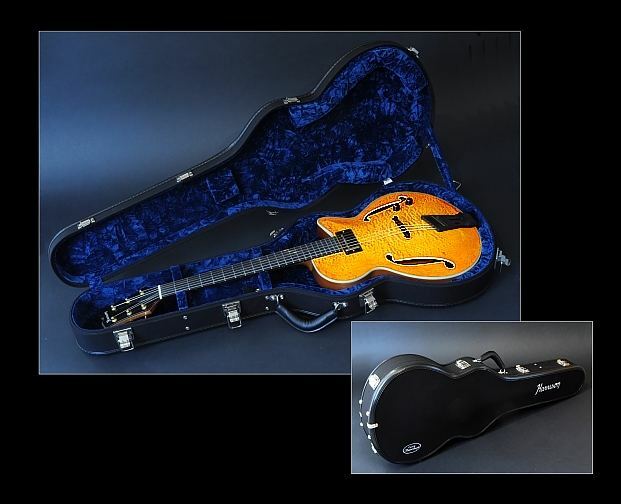 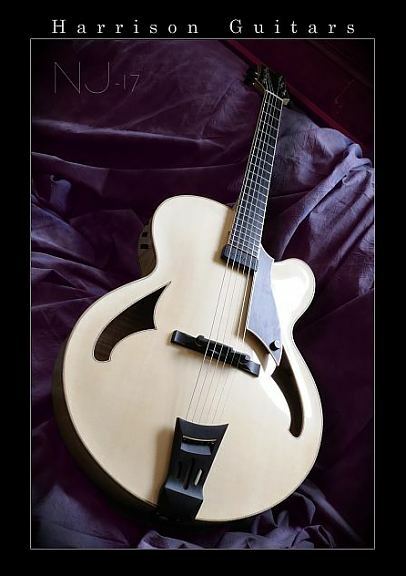 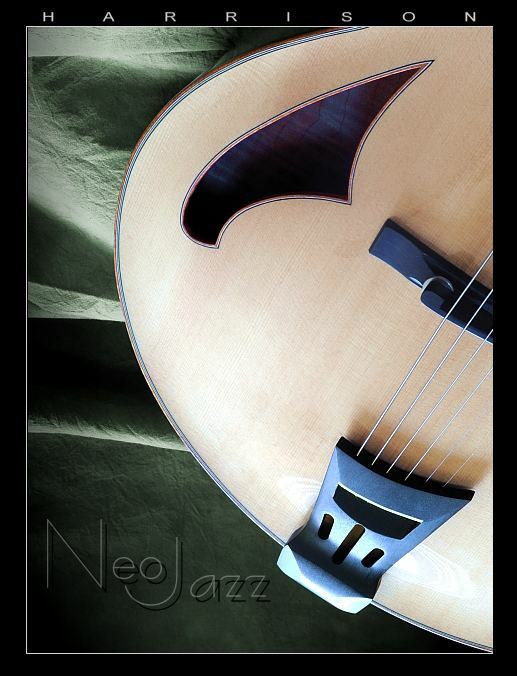 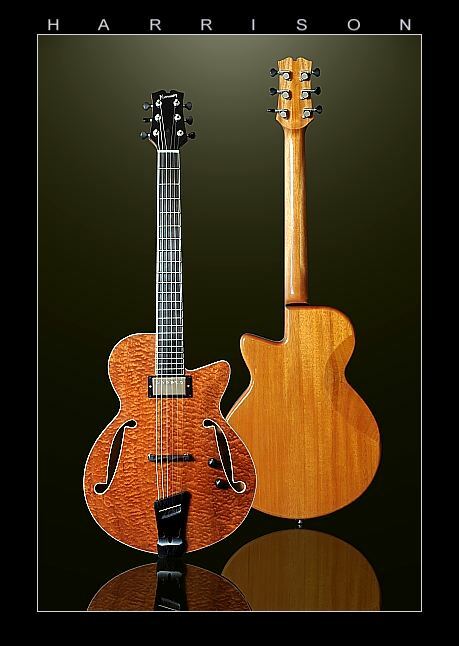 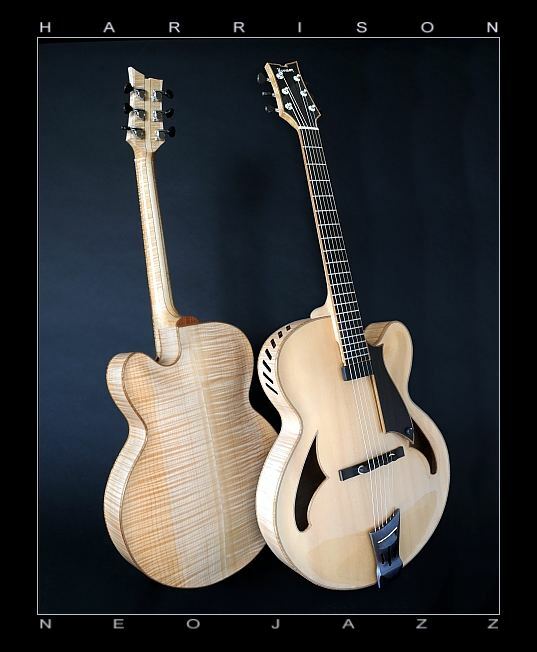 One of the advantages of commissioning an instrument from a luthier is that you can choose the combination of features that suits you. 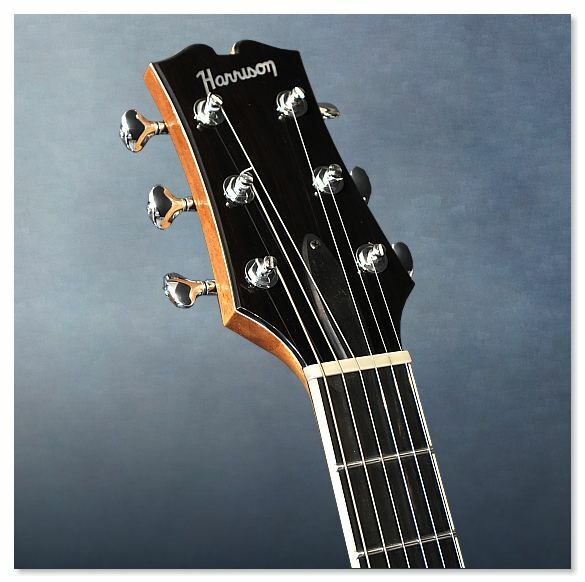 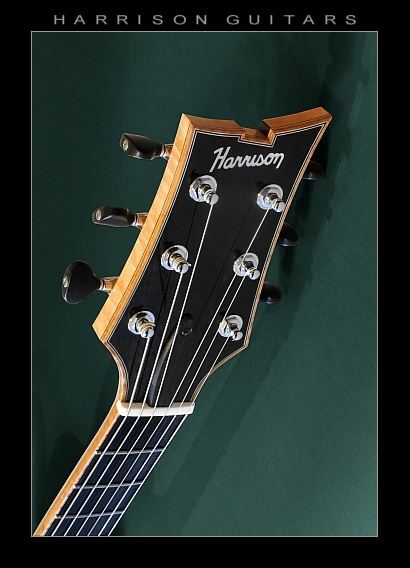 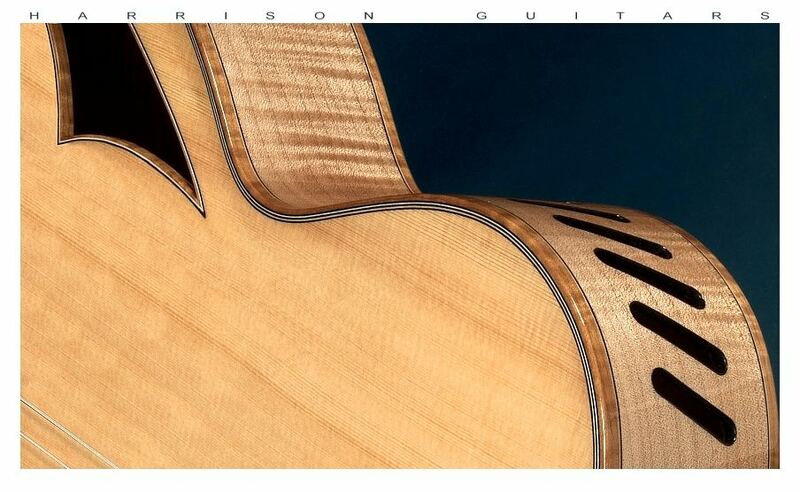 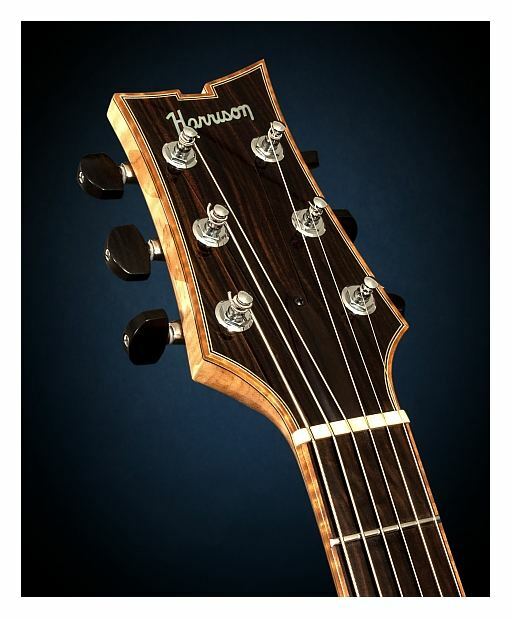 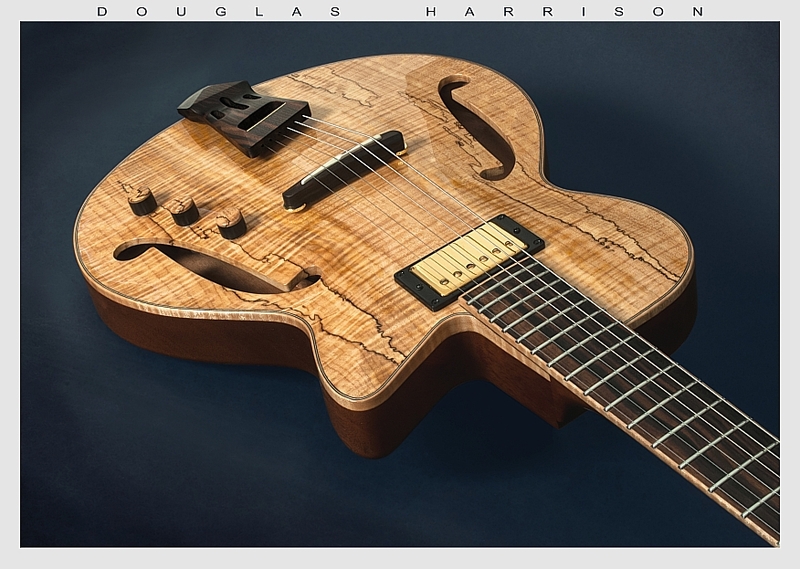 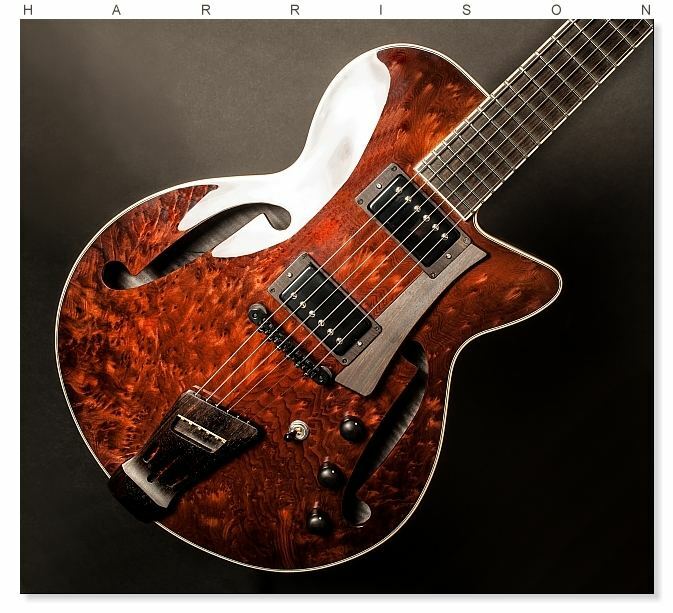 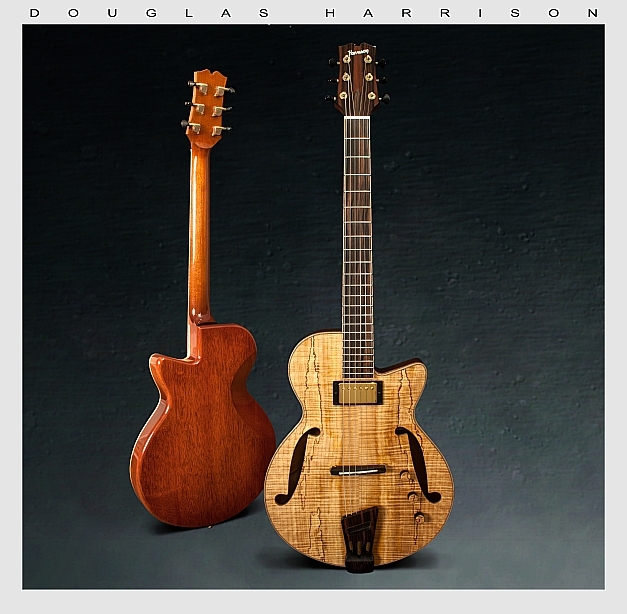 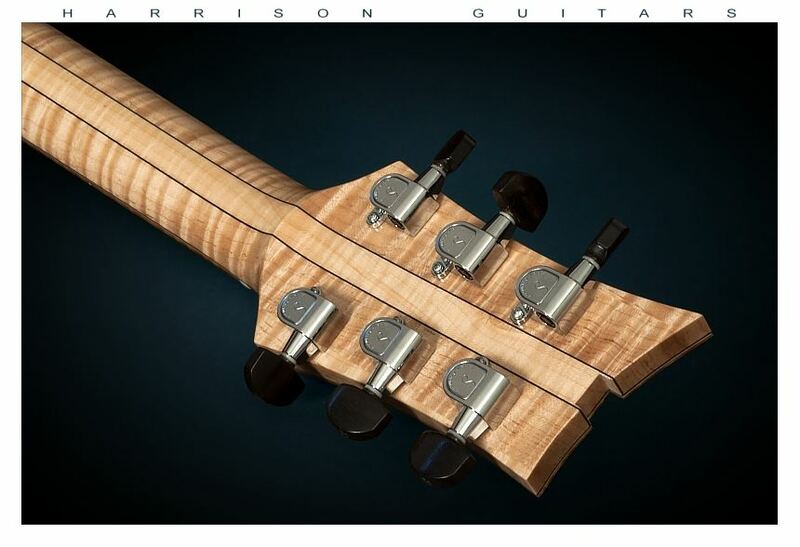 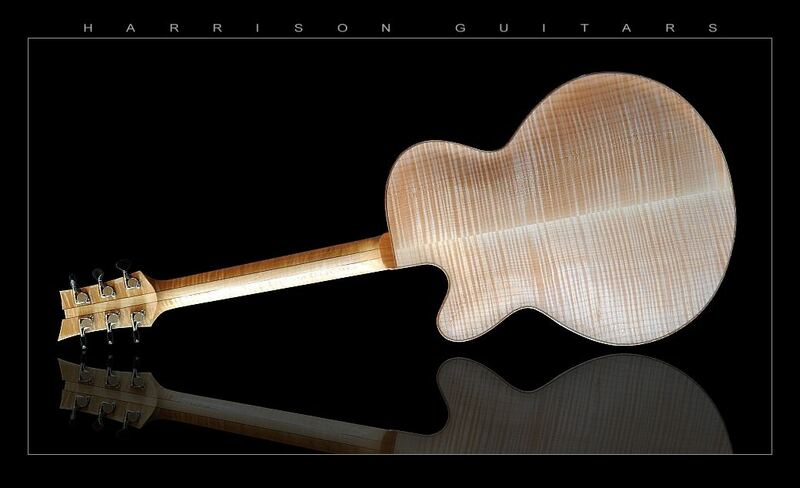 From custom colour tints to special neck dimensions, specific pickup and electronic configurations, unique finger rest outlines ... even personally choosing your exotic tonewoods ... the process of ordering your Harrison guitar can be a creative one. 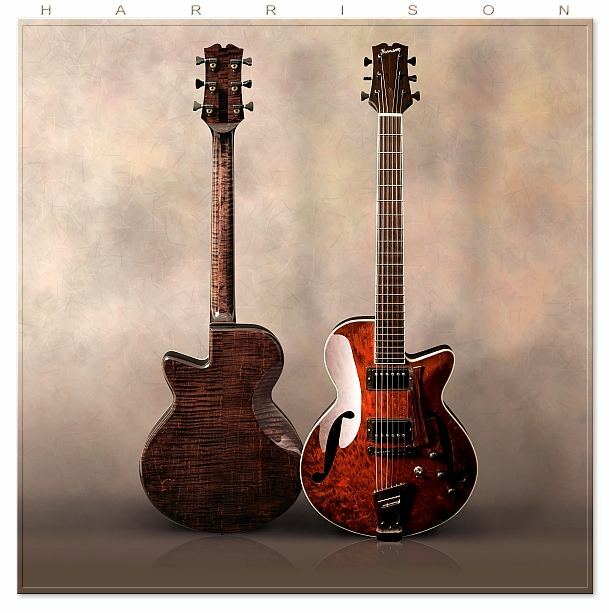 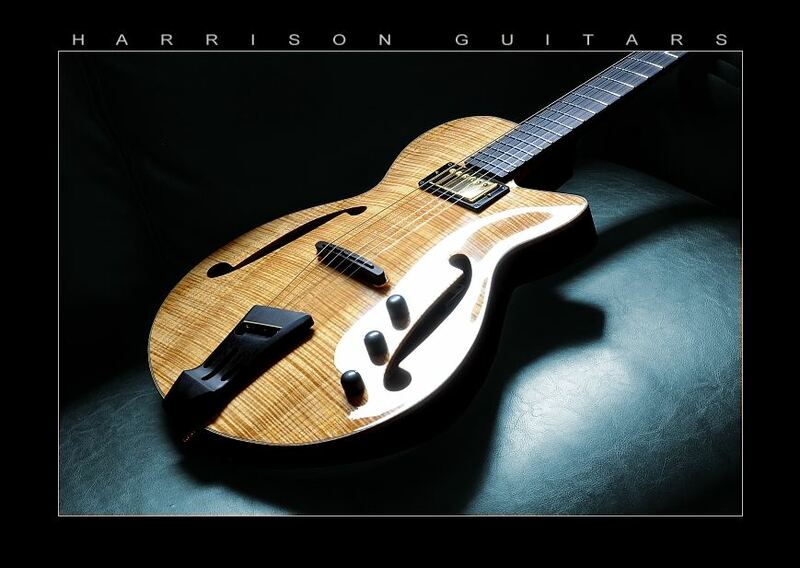 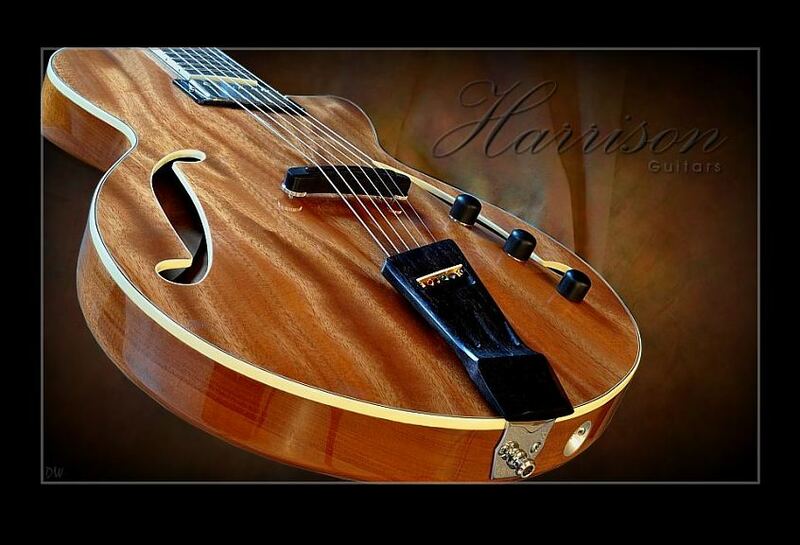 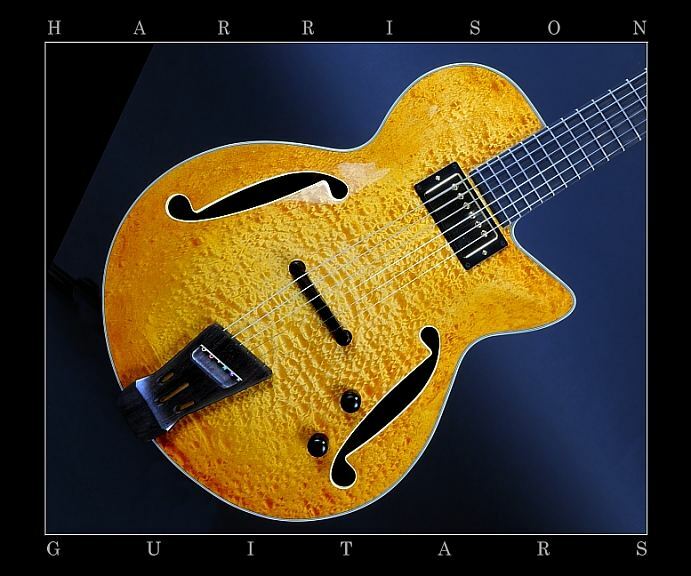 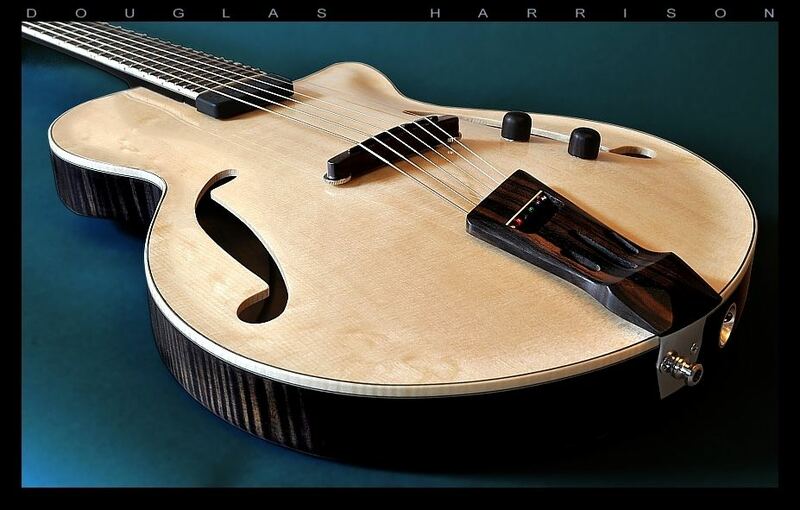 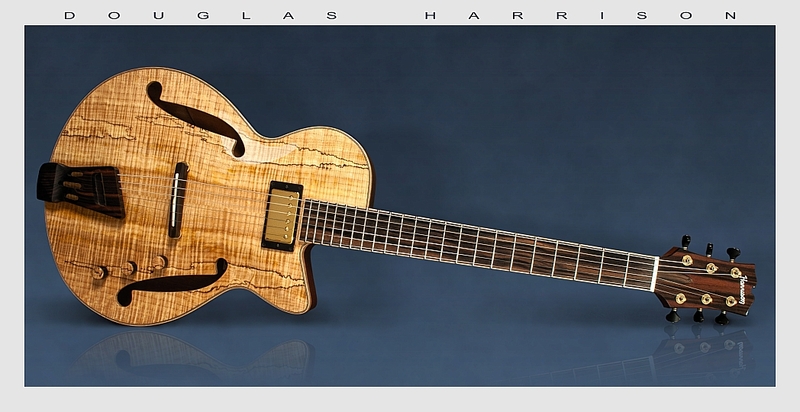 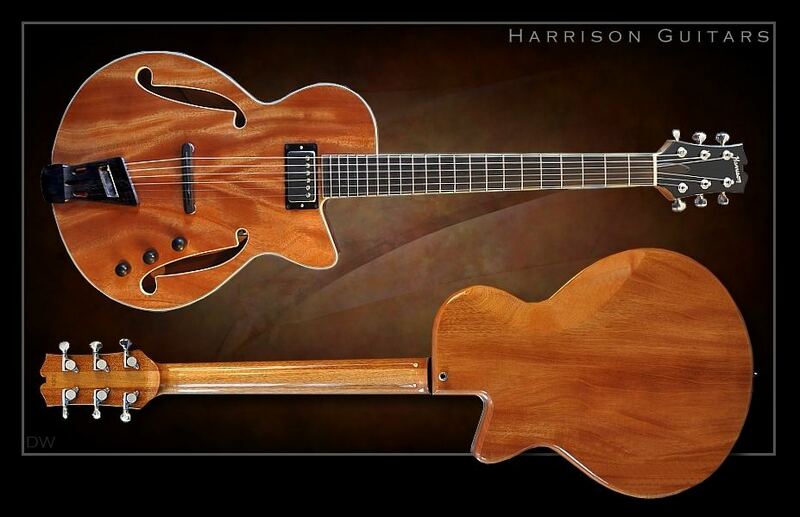 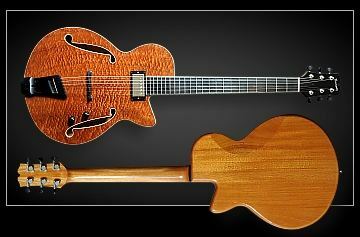 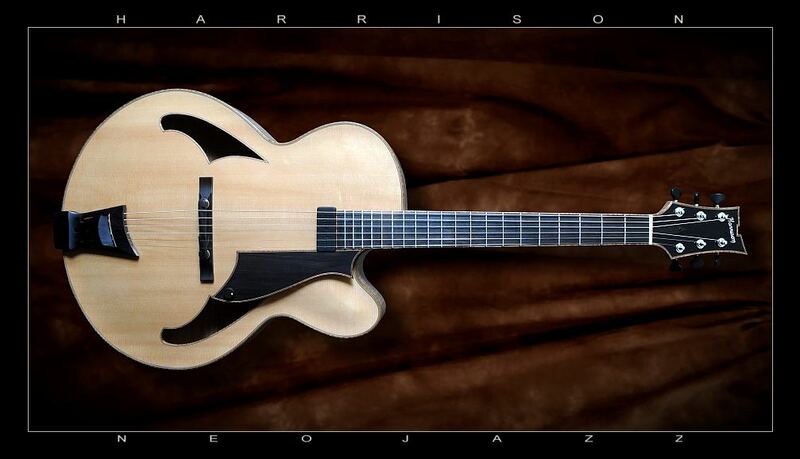 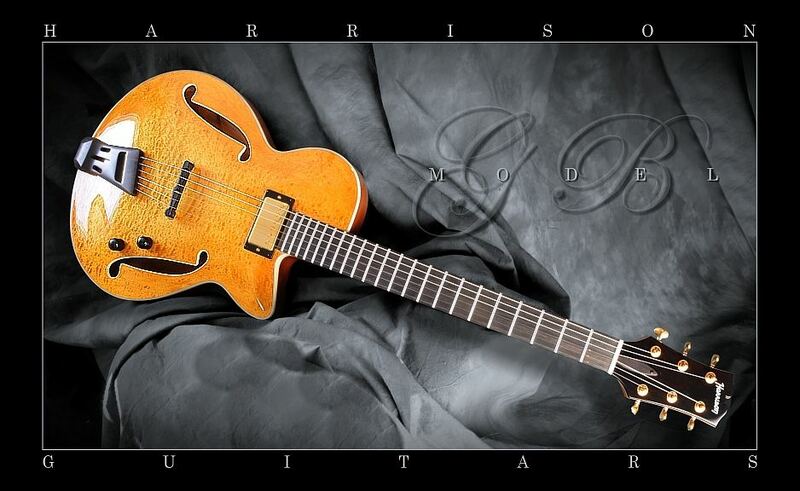 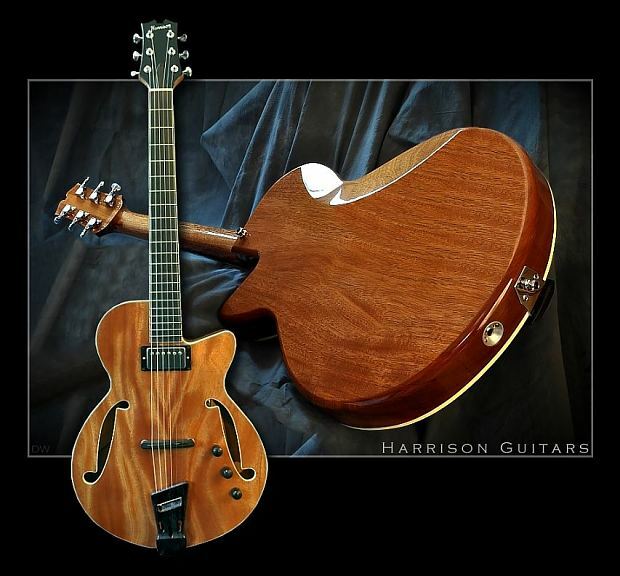 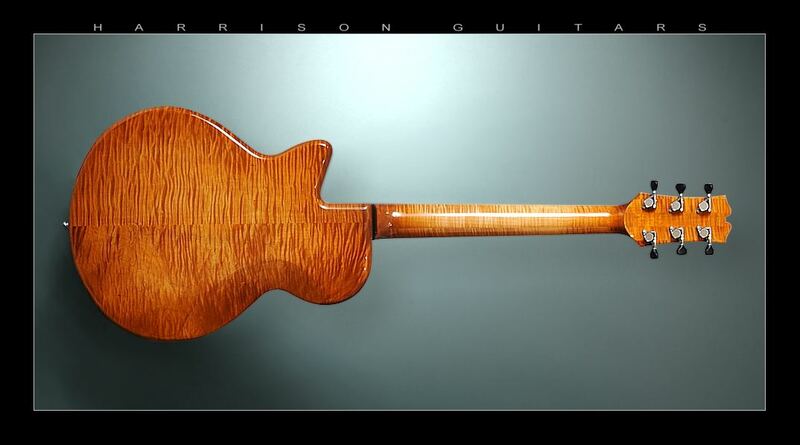 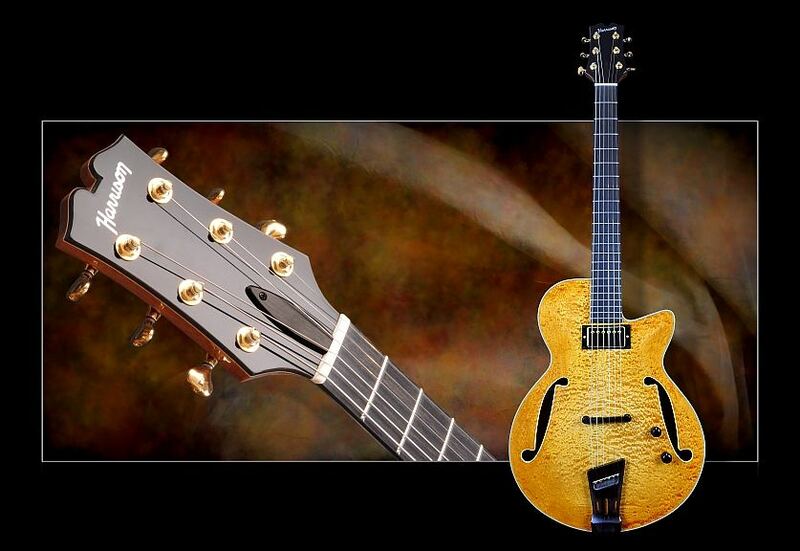 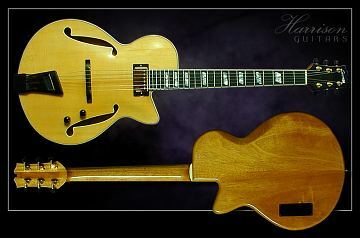 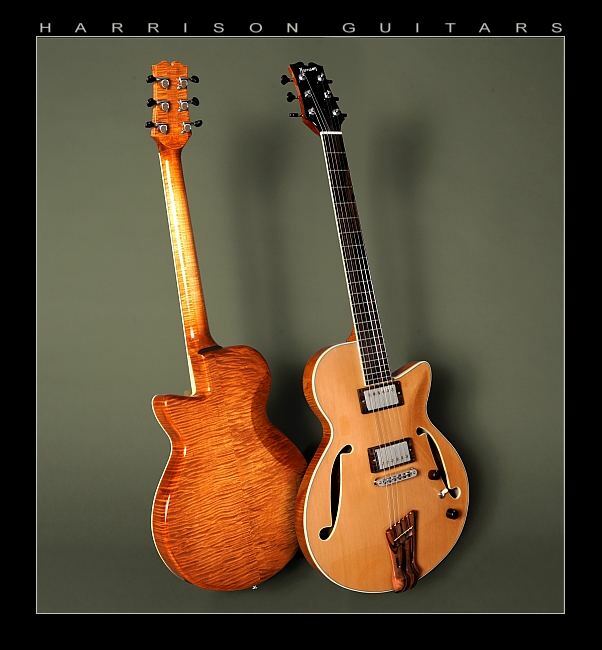 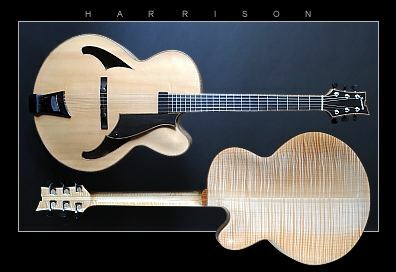 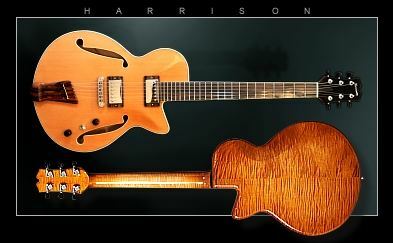 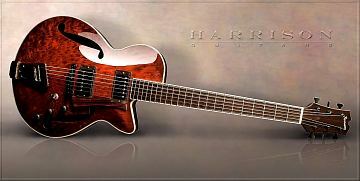 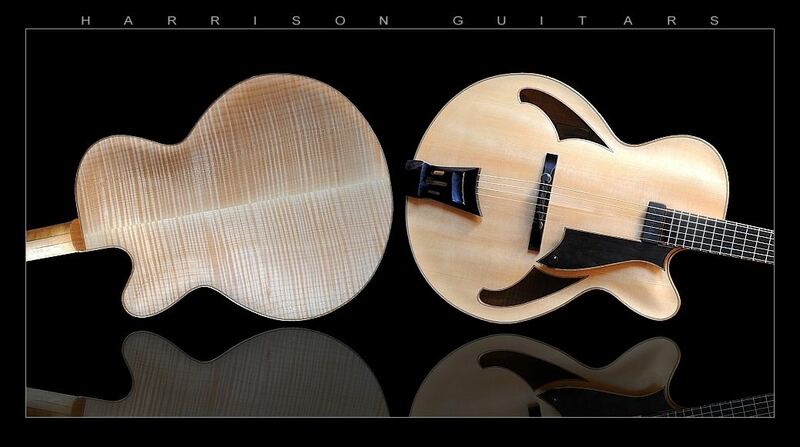 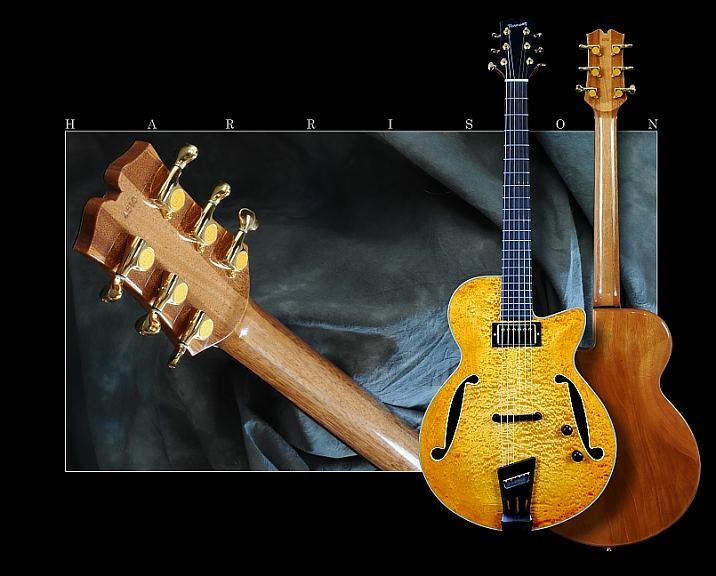 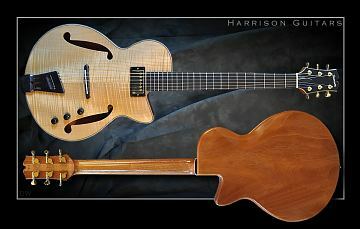 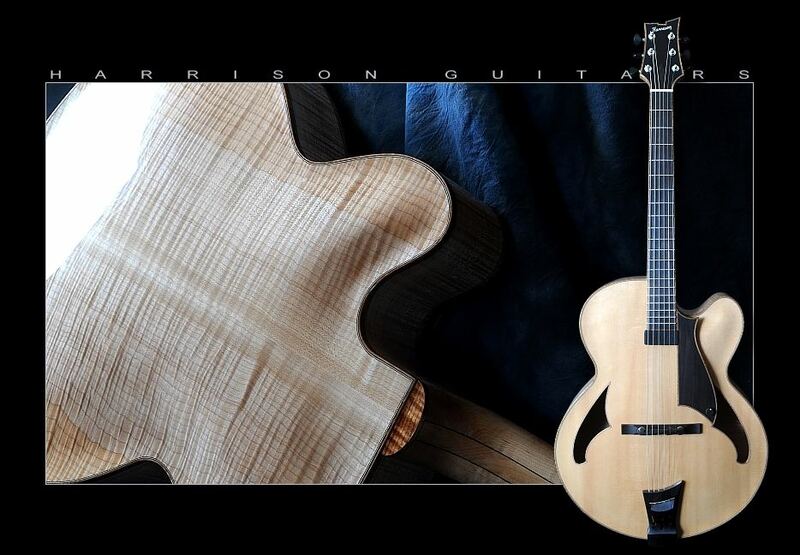 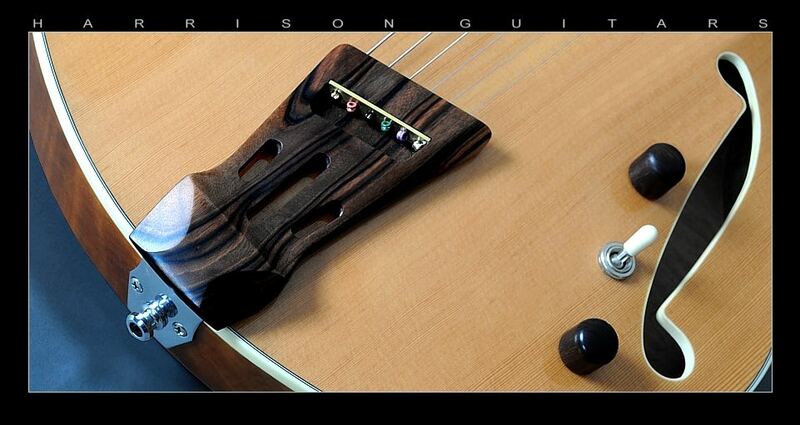 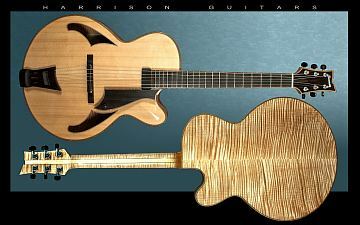 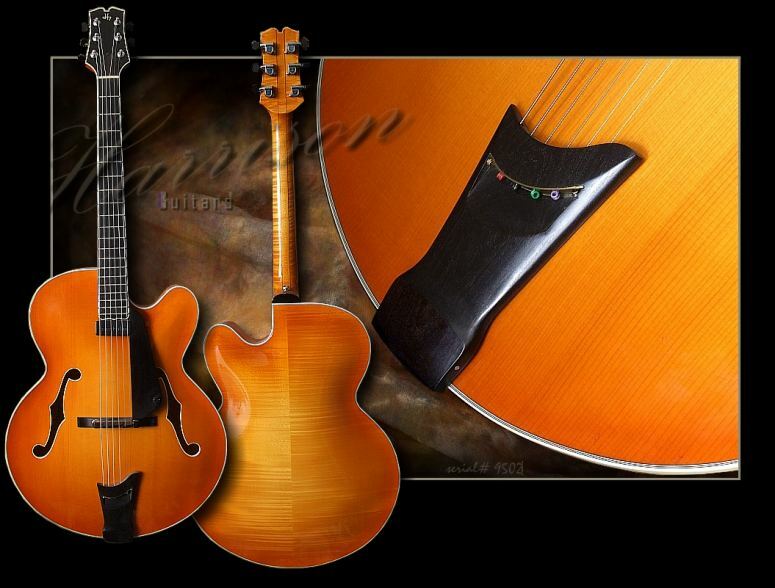 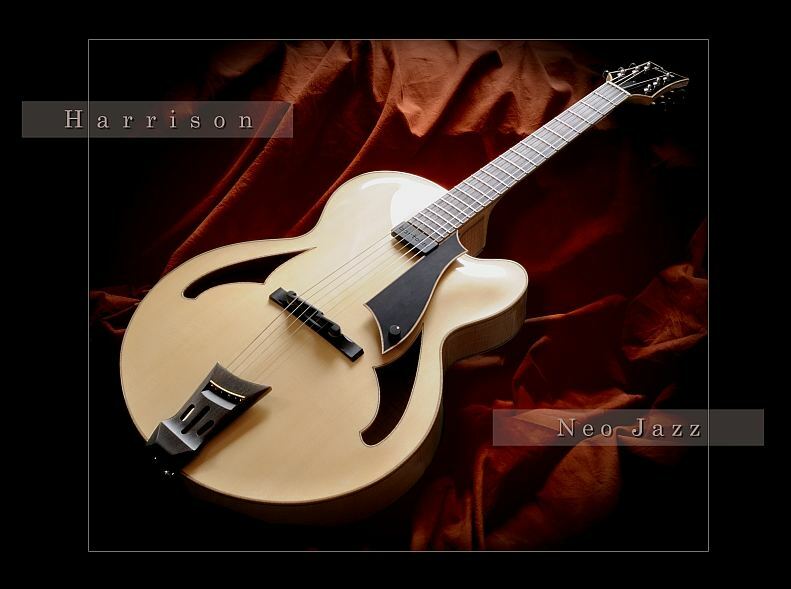 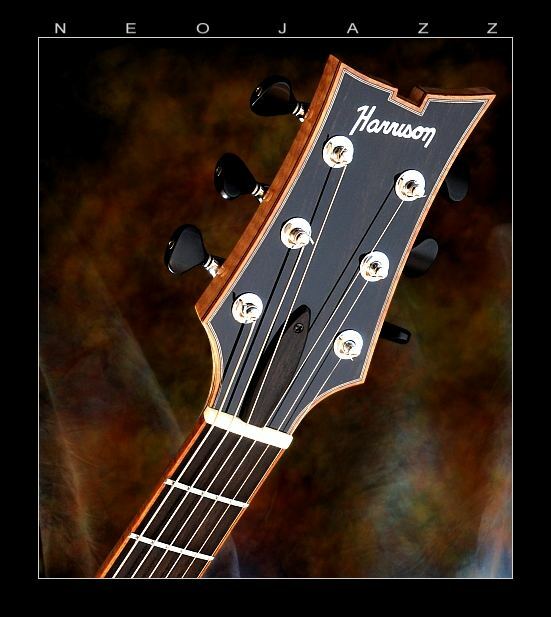 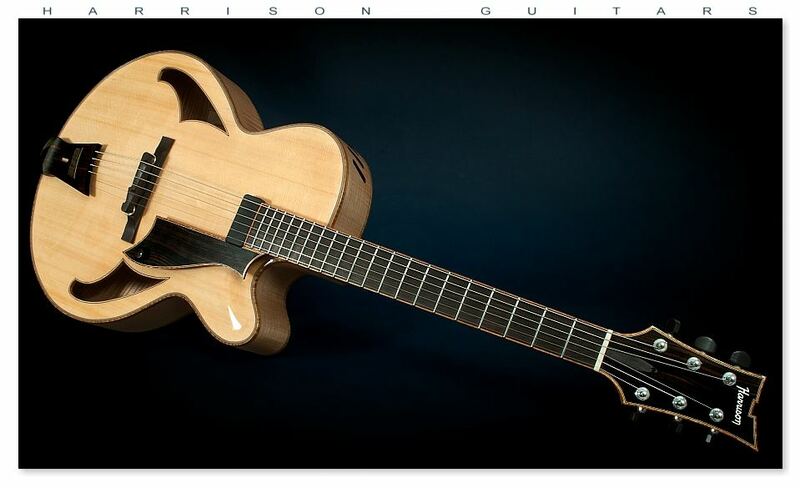 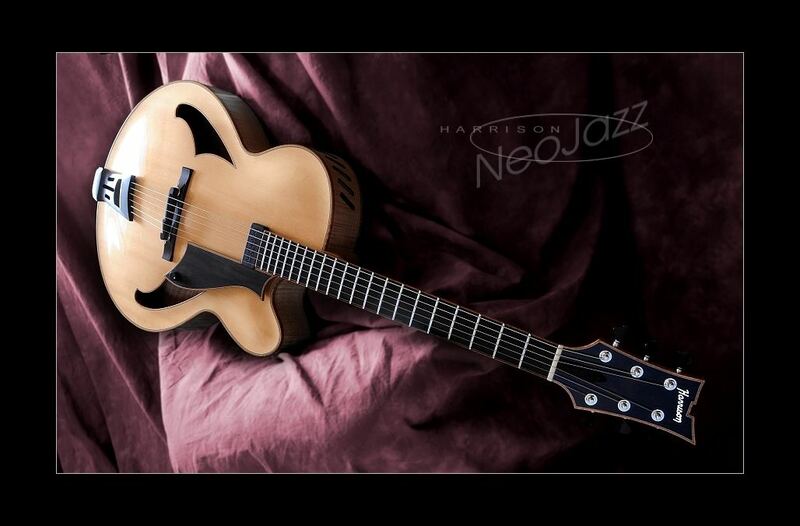 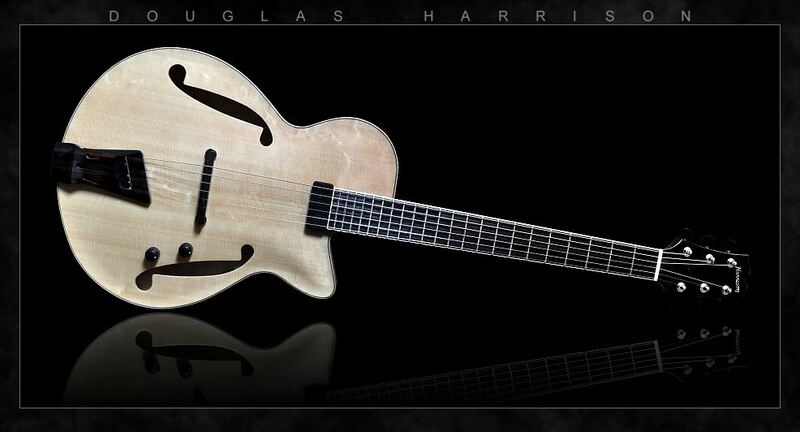 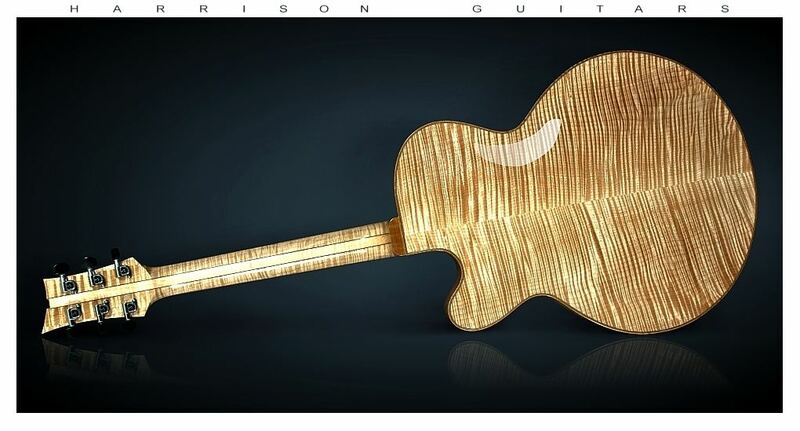 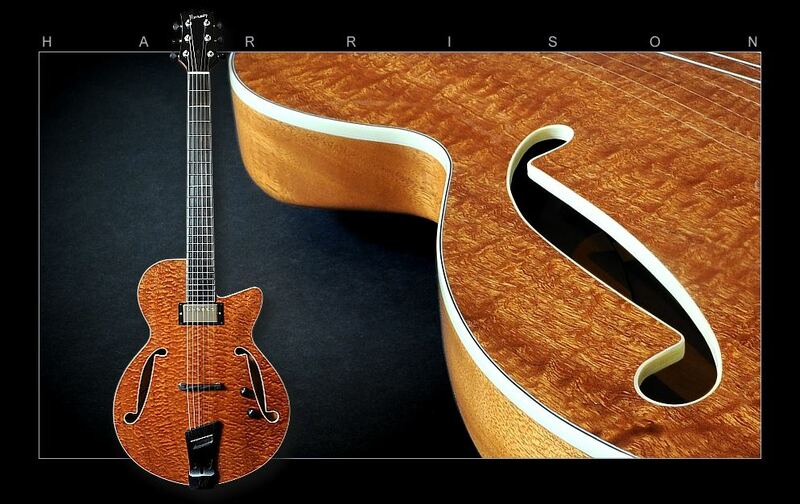 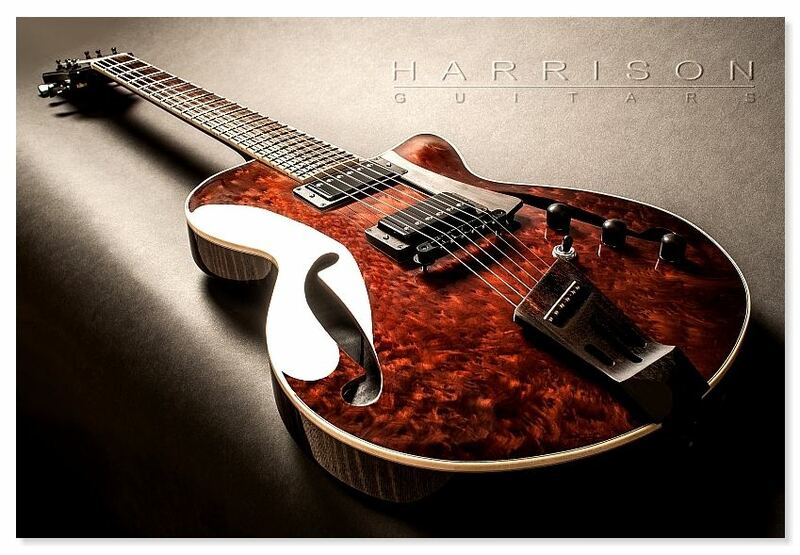 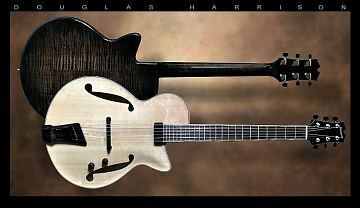 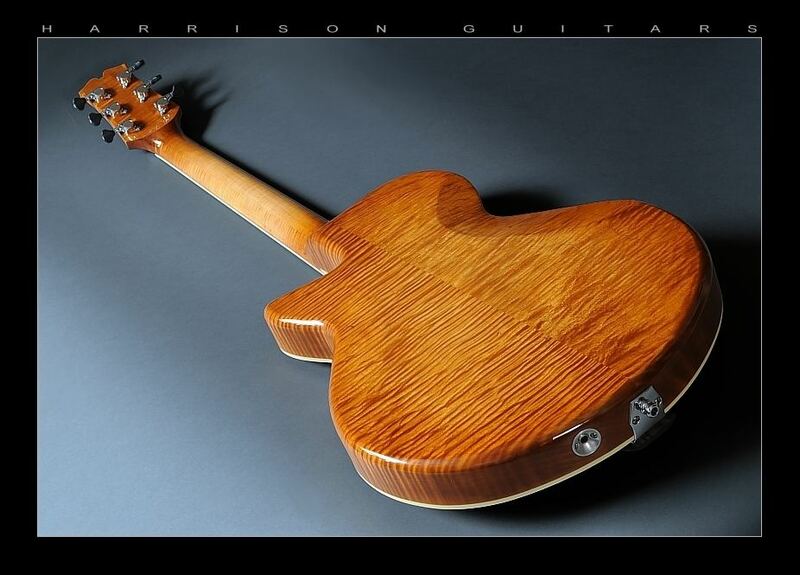 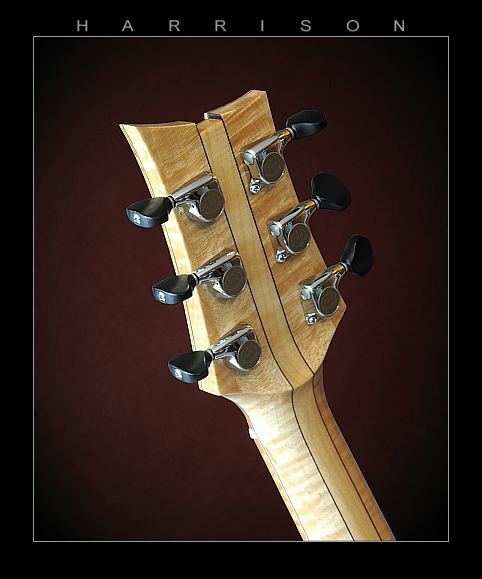 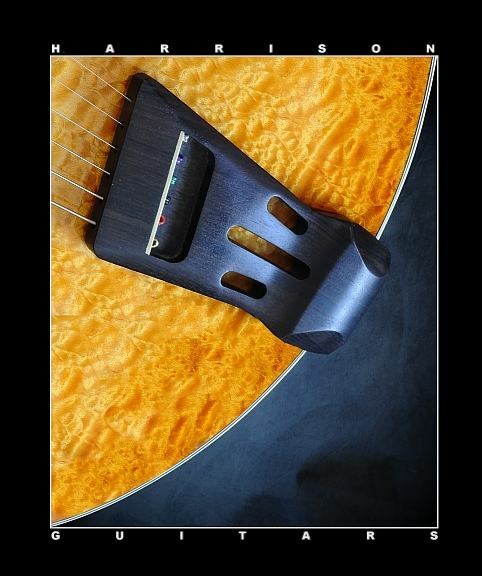 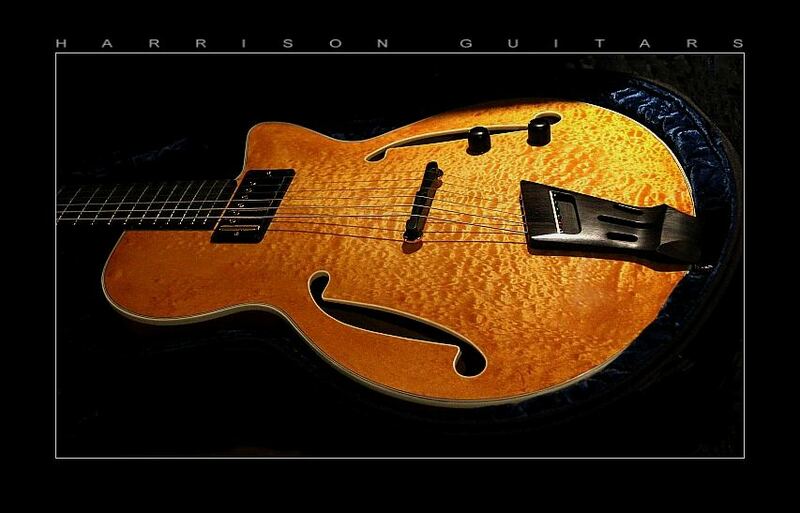 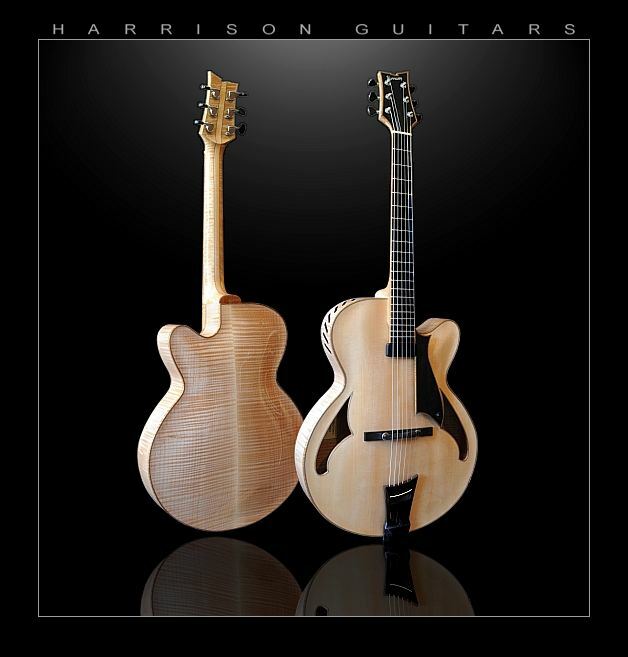 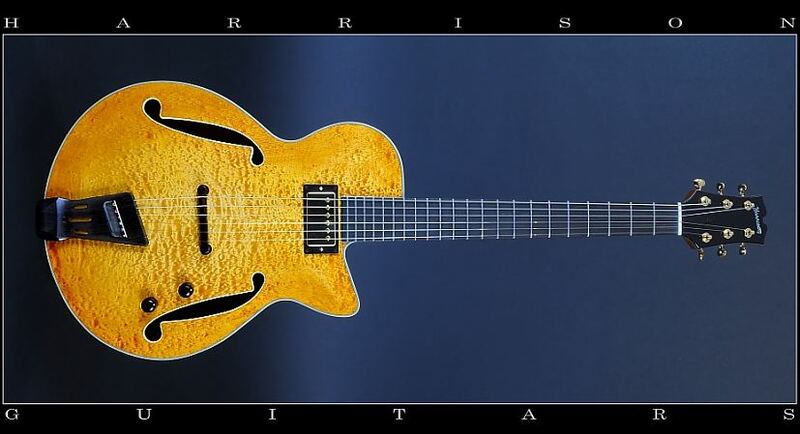 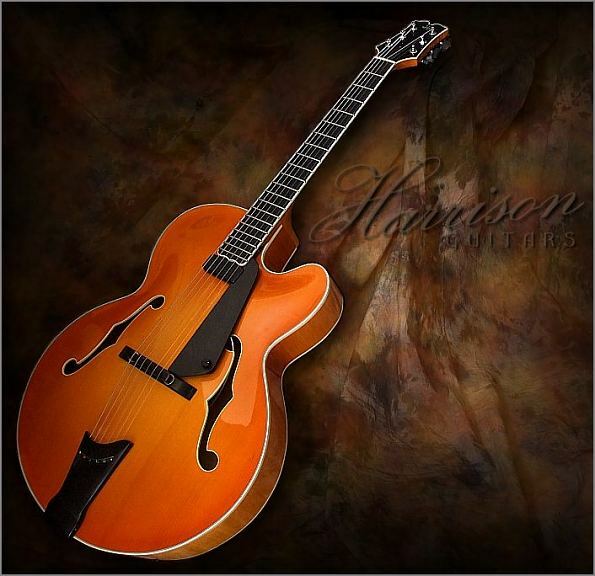 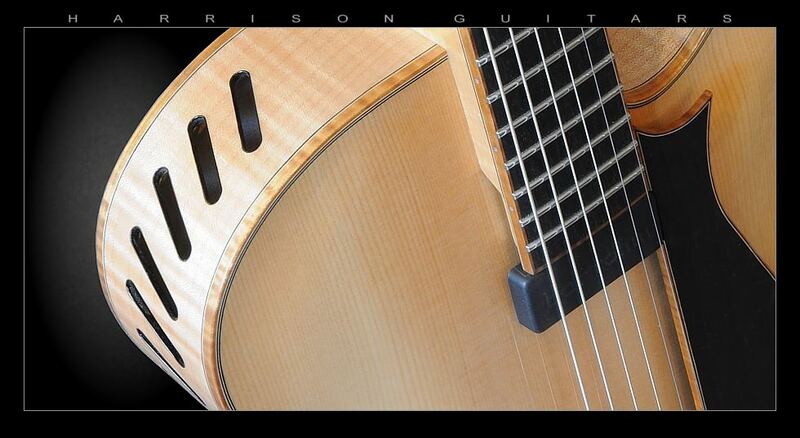 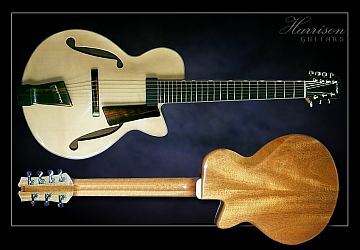 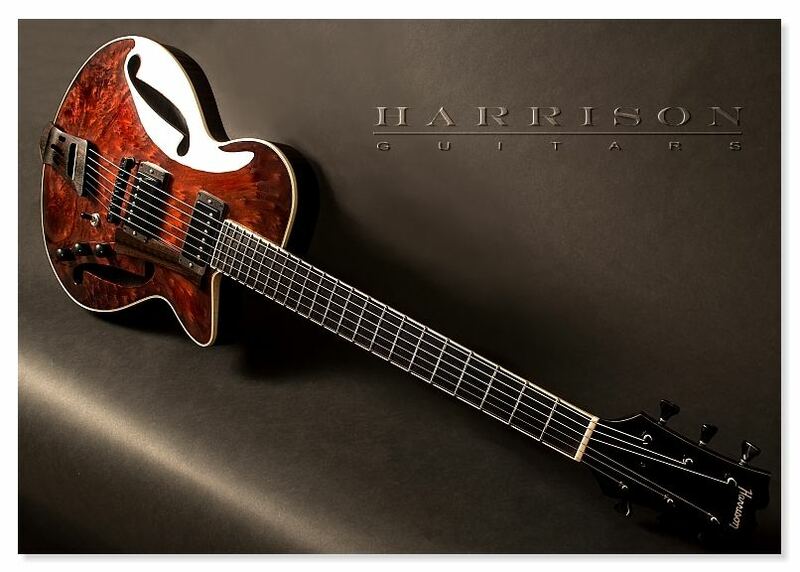 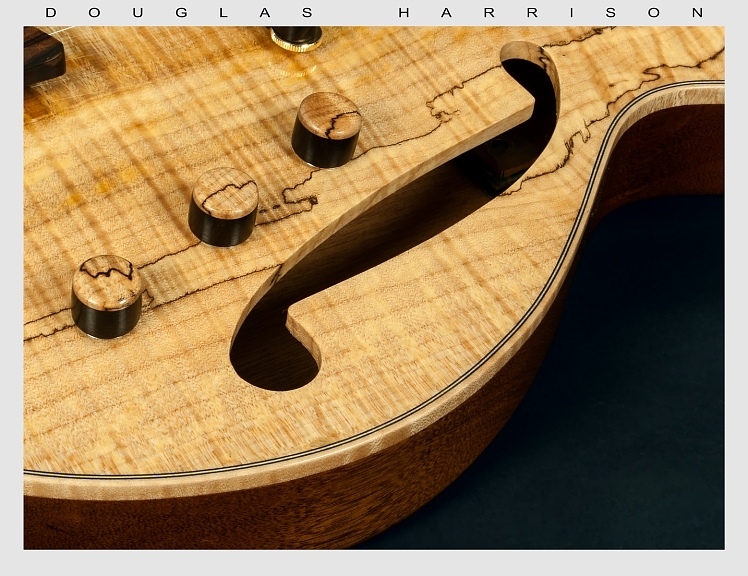 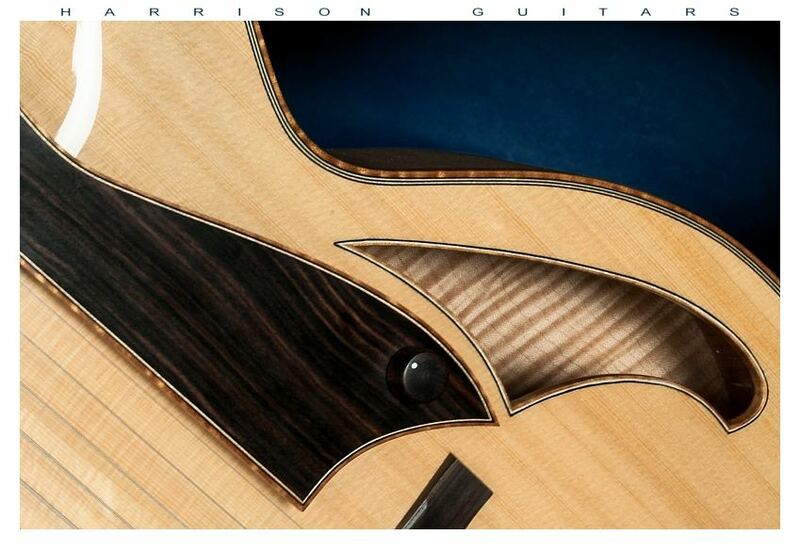 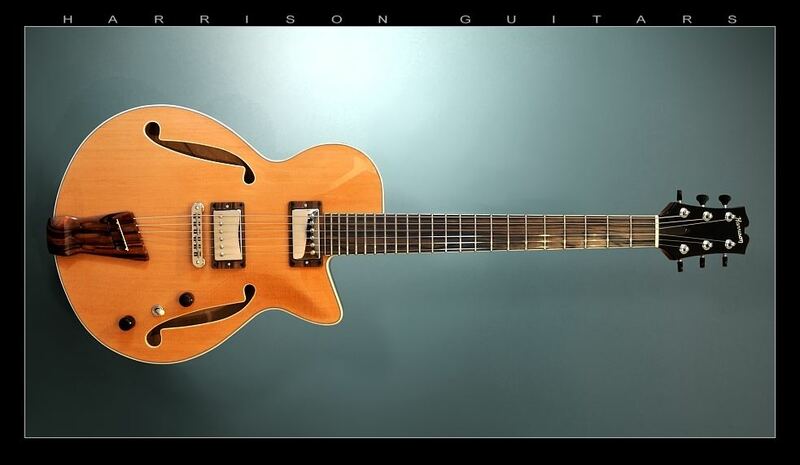 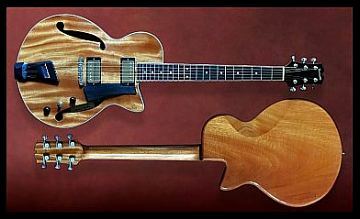 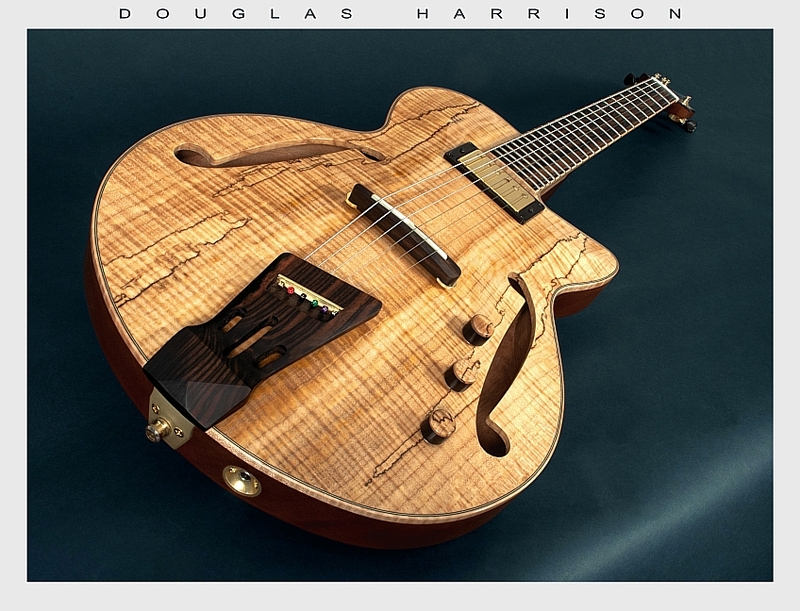 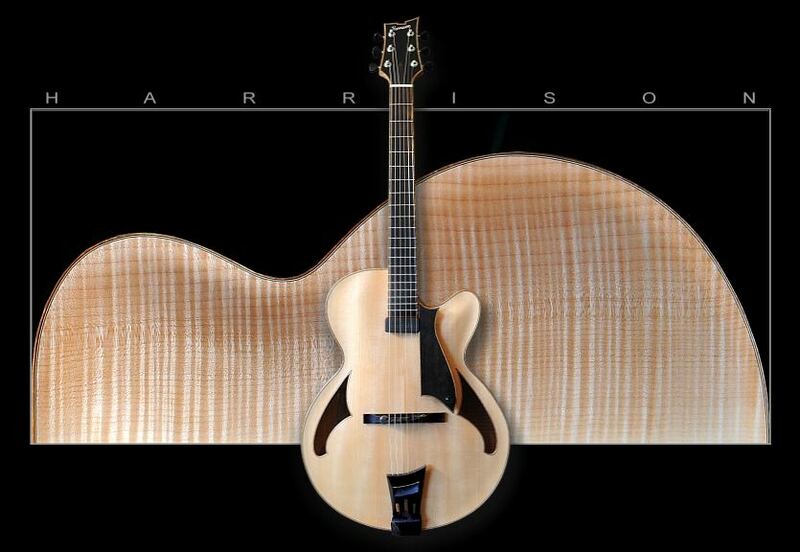 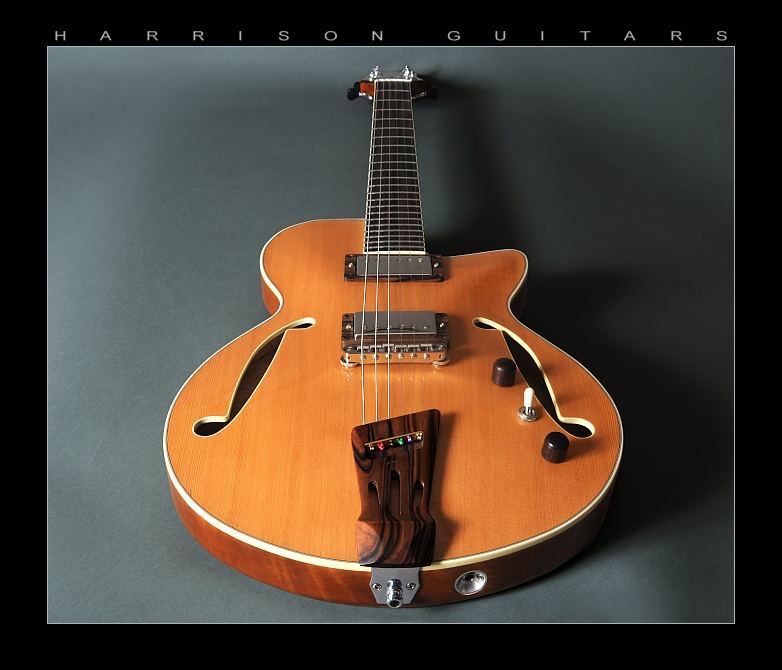 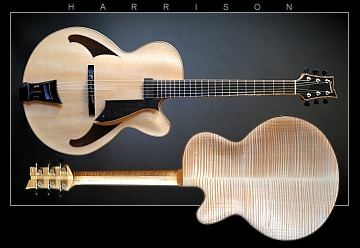 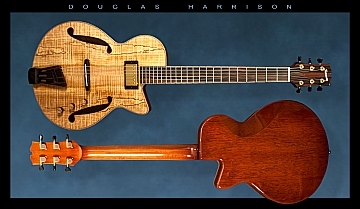 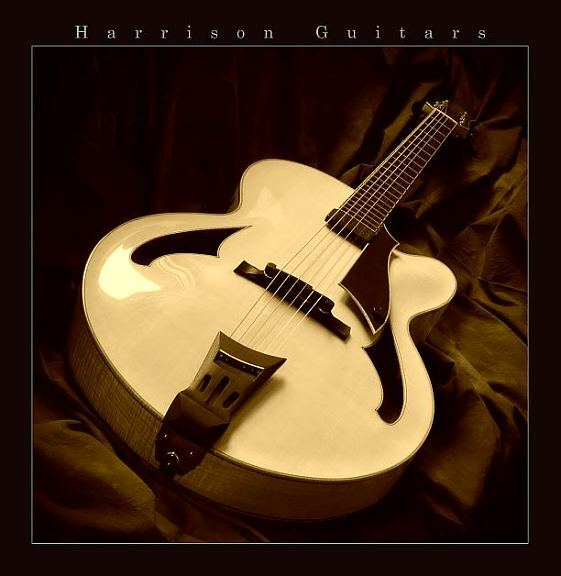 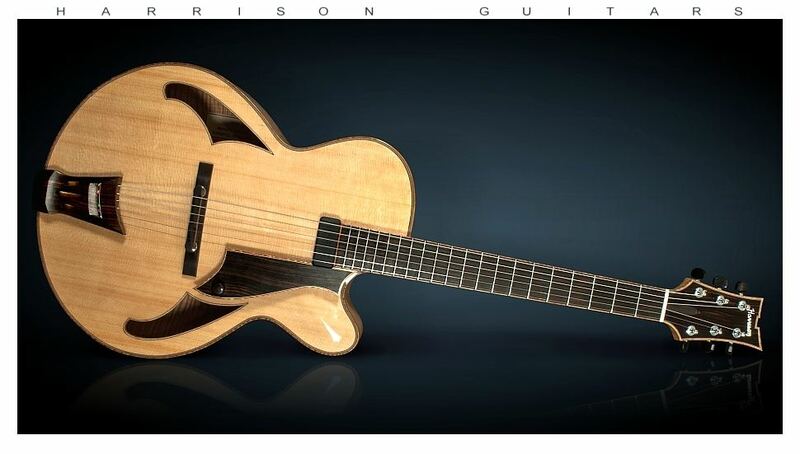 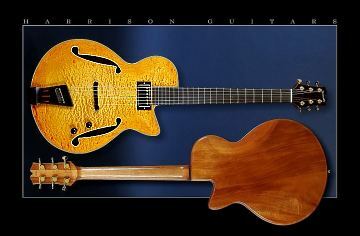 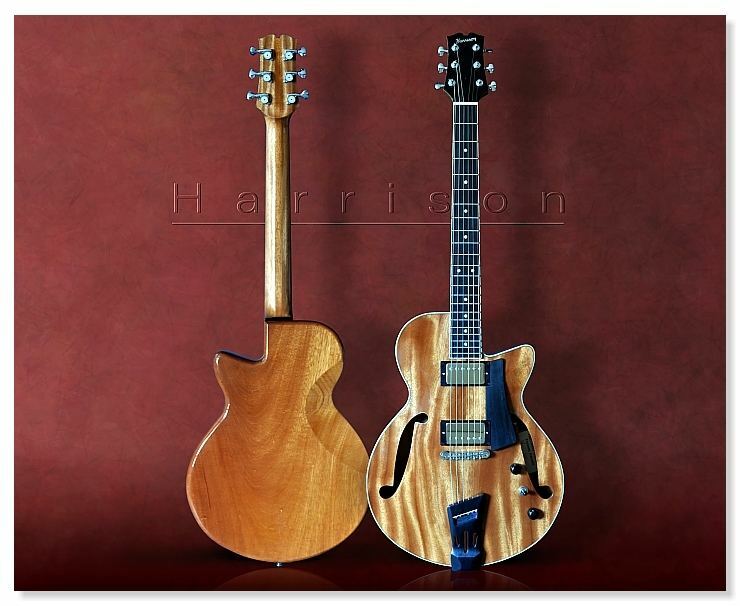 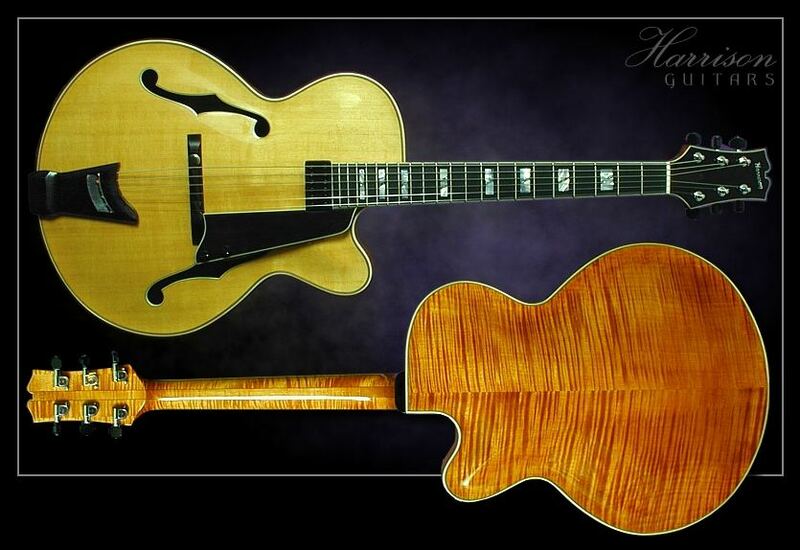 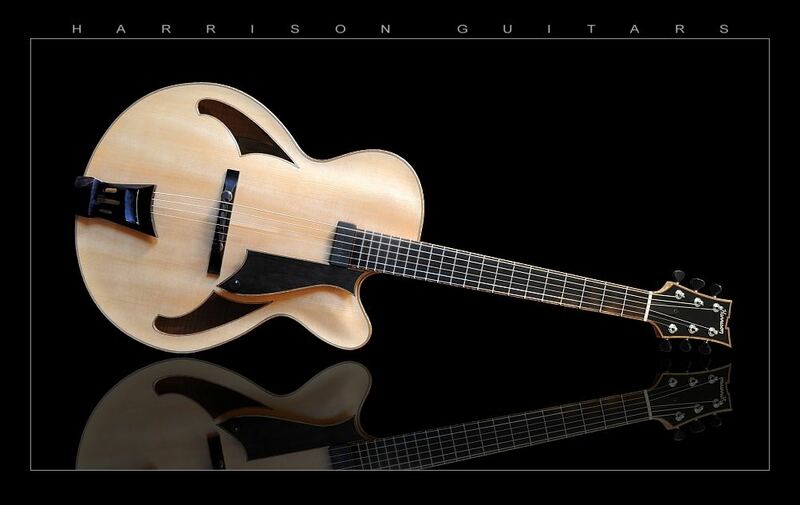 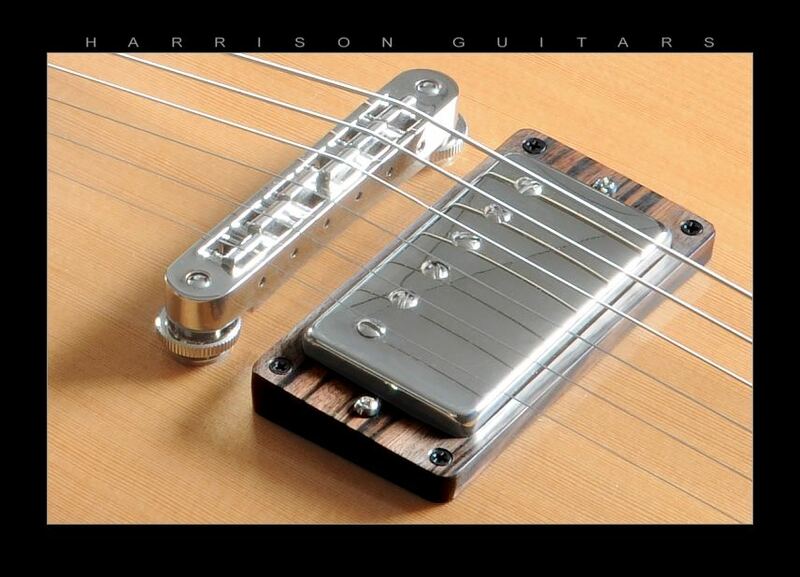 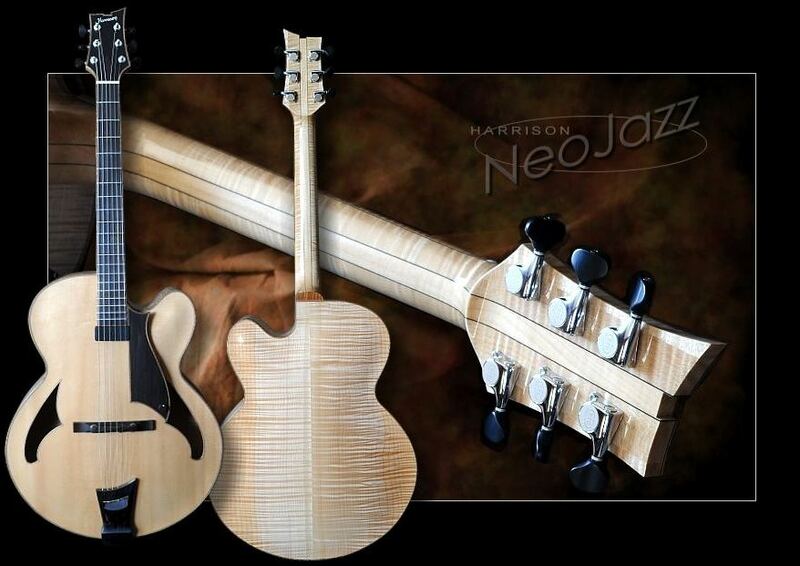 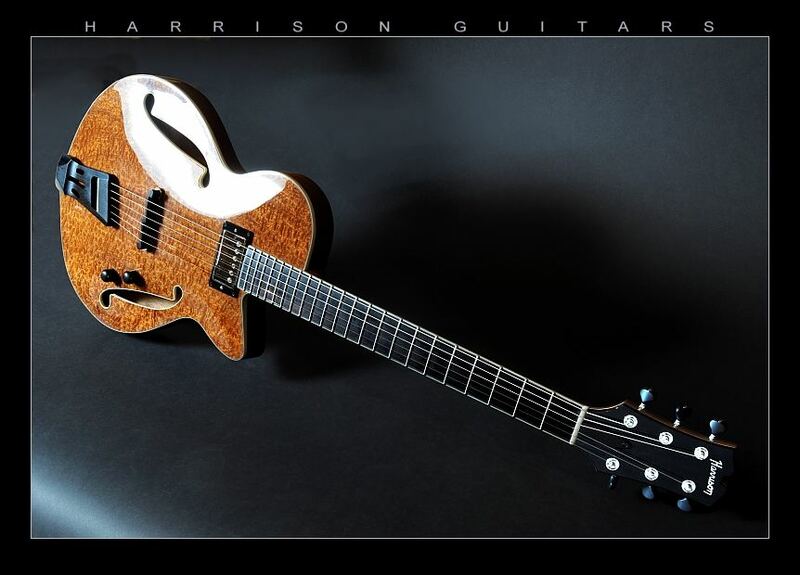 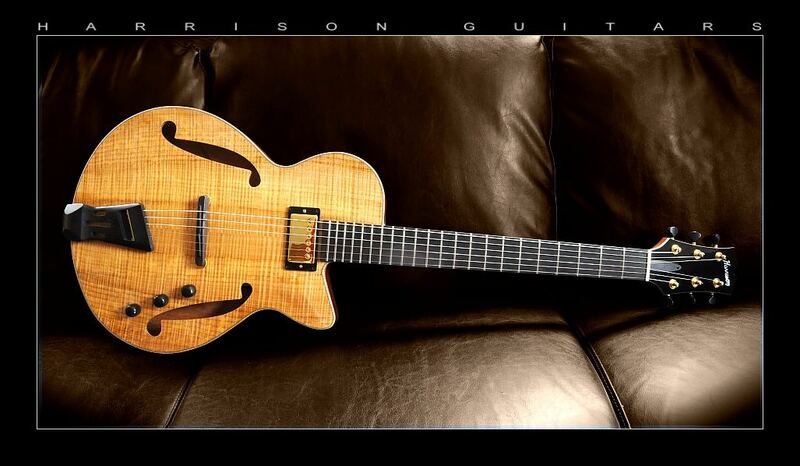 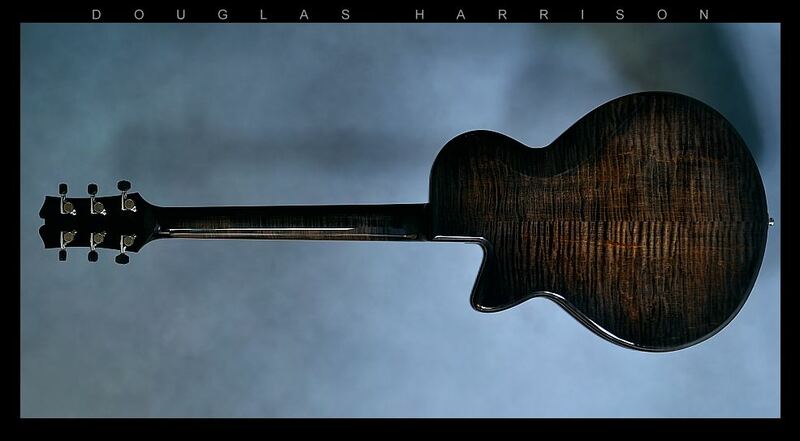 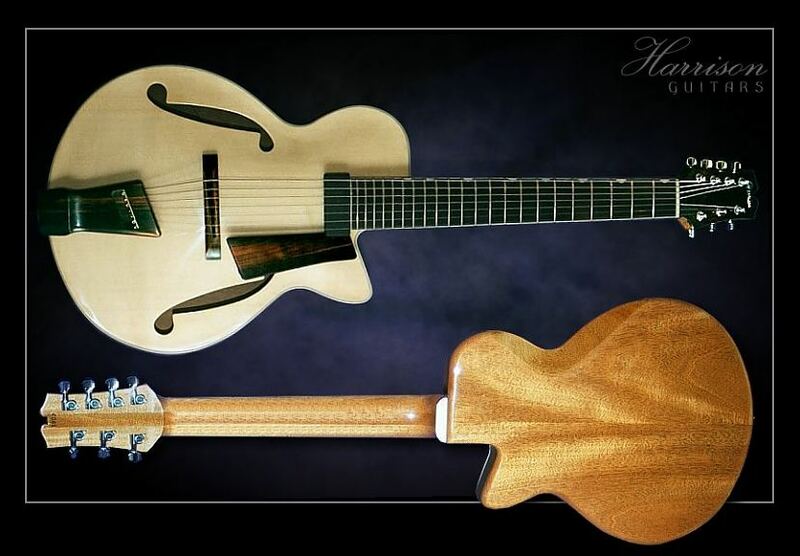 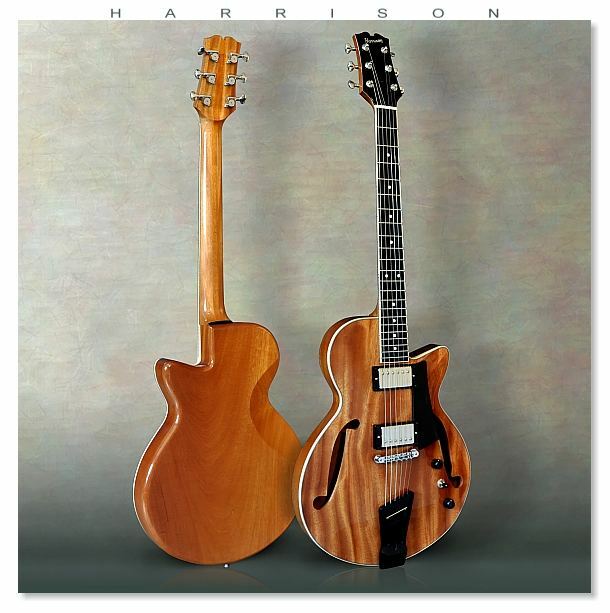 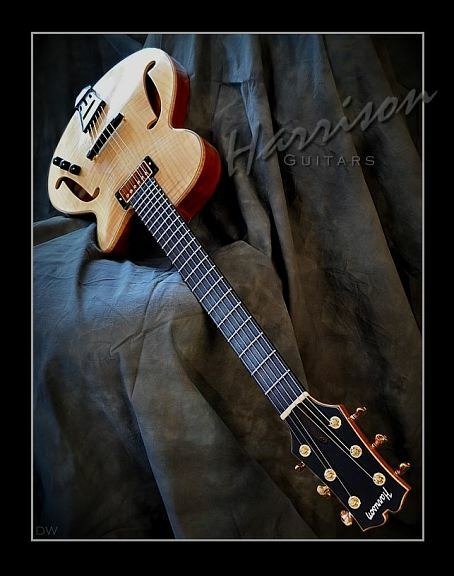 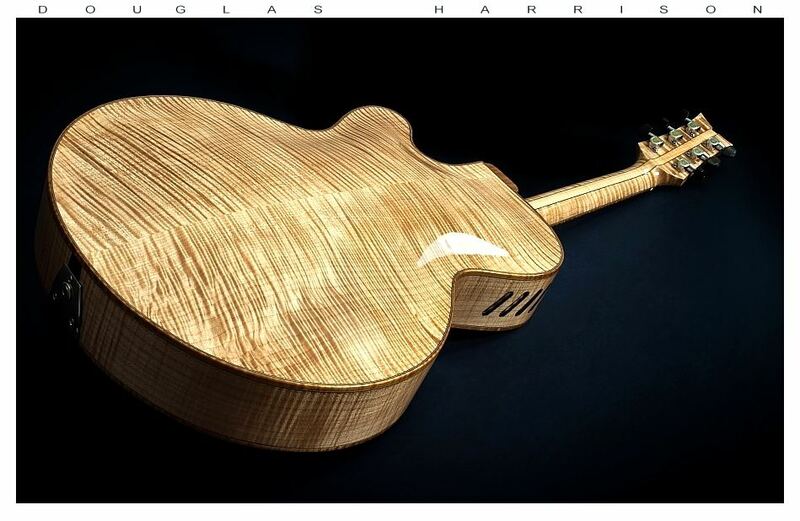 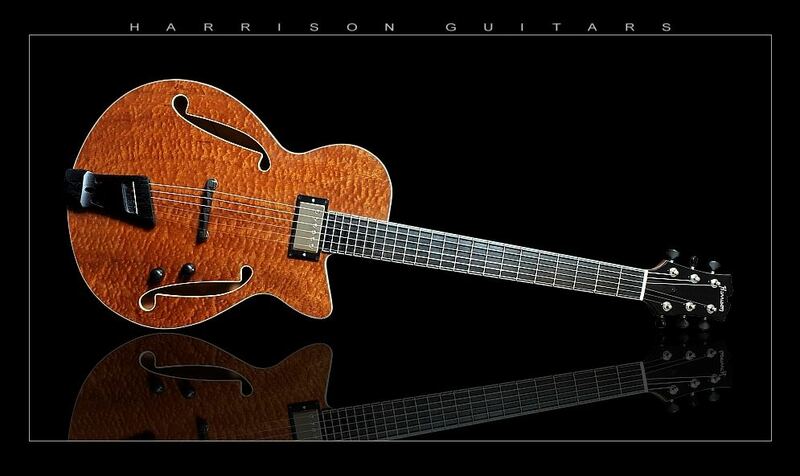 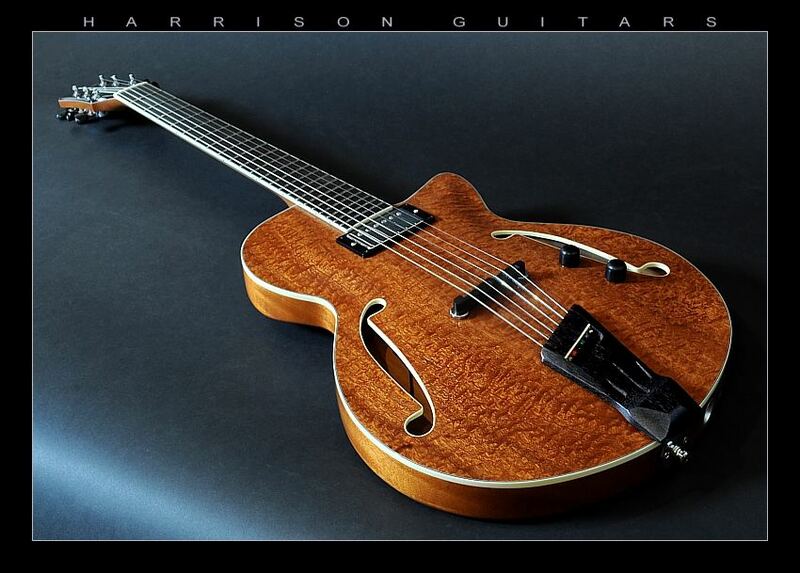 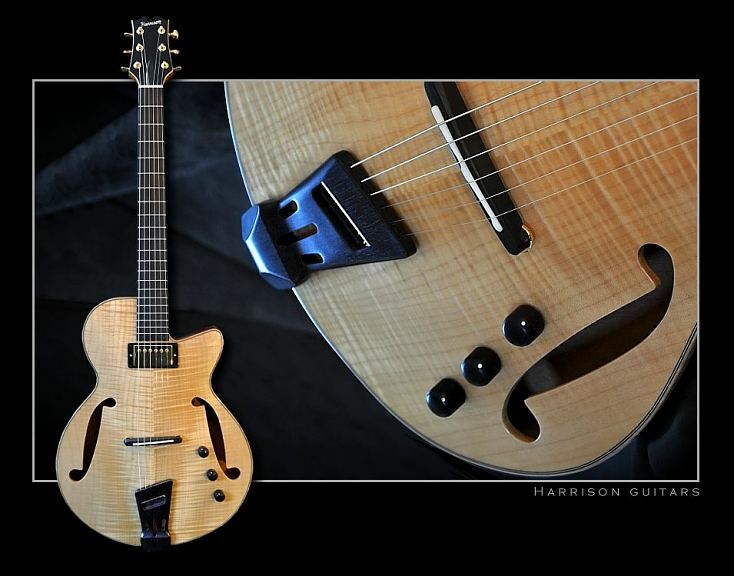 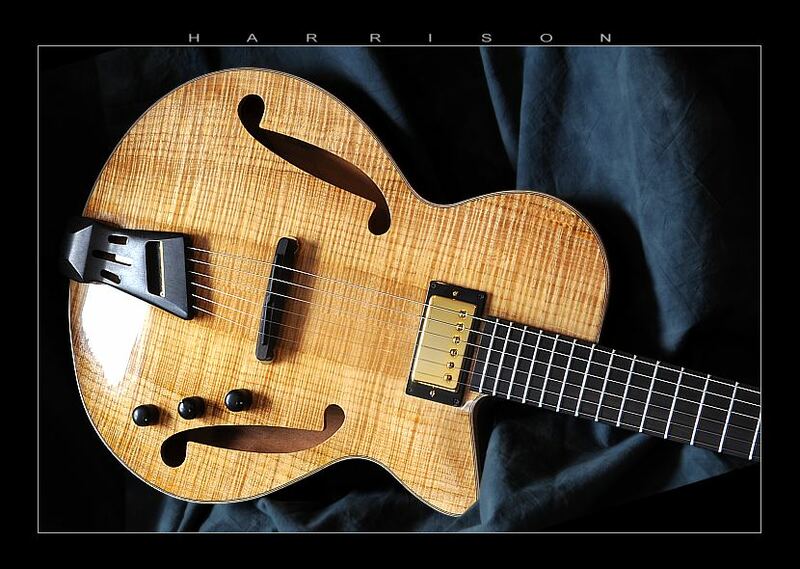 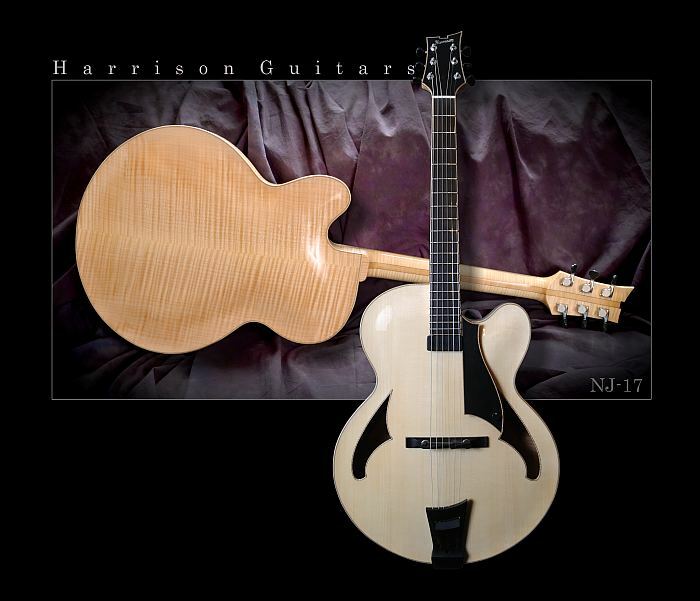 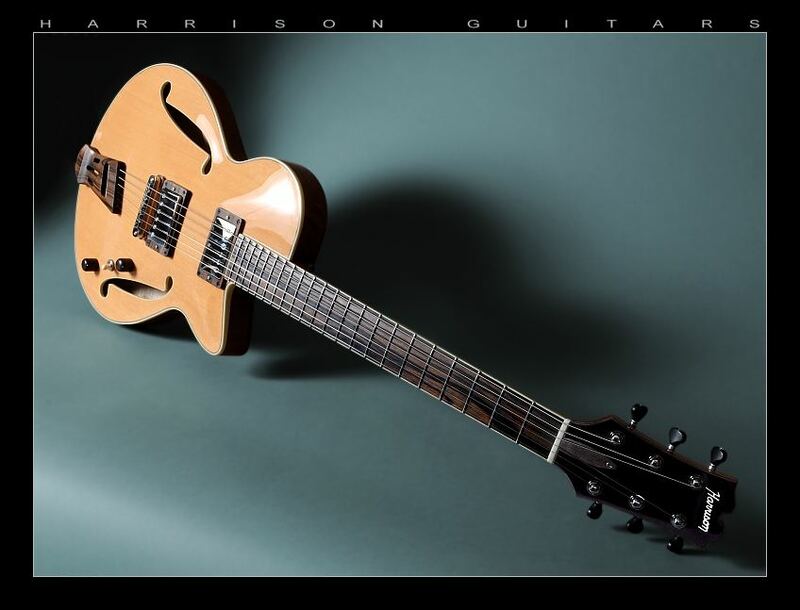 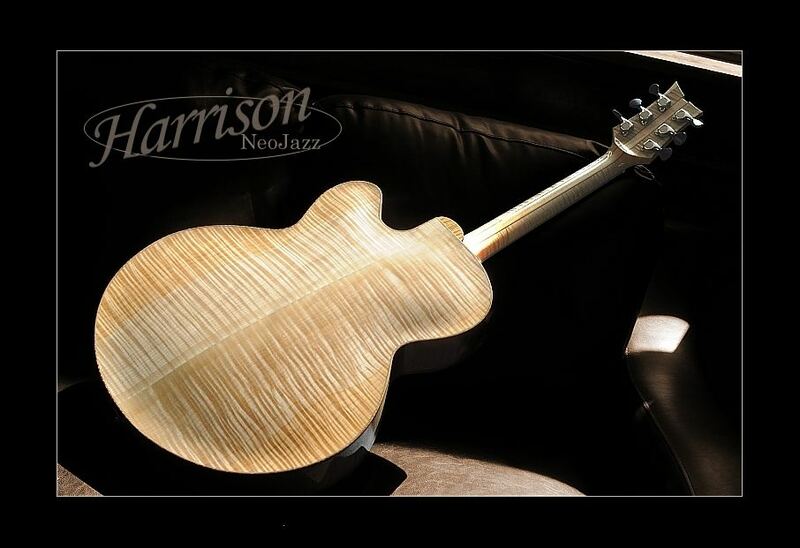 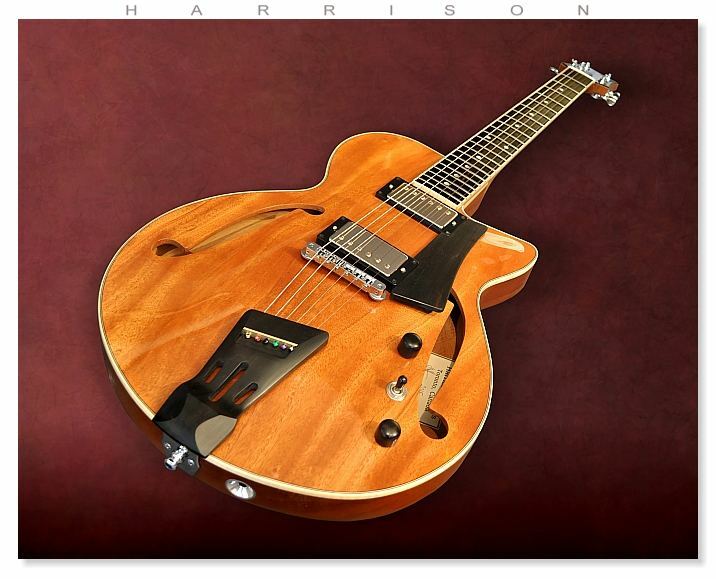 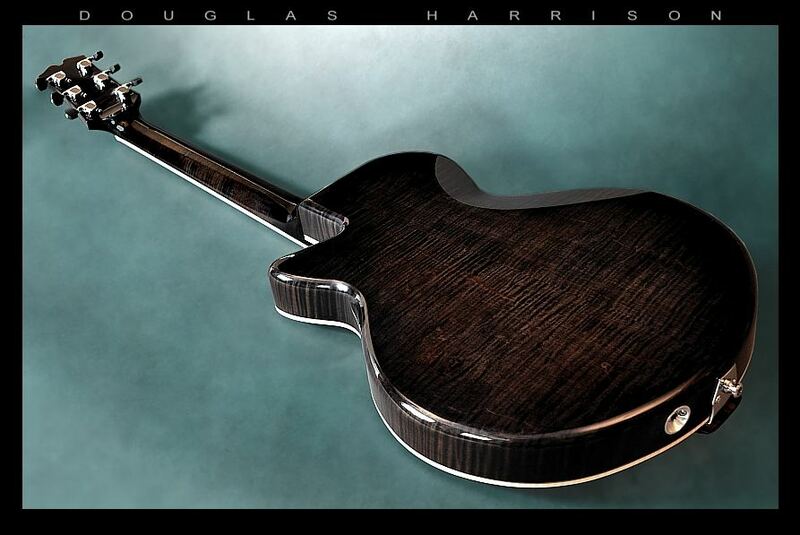 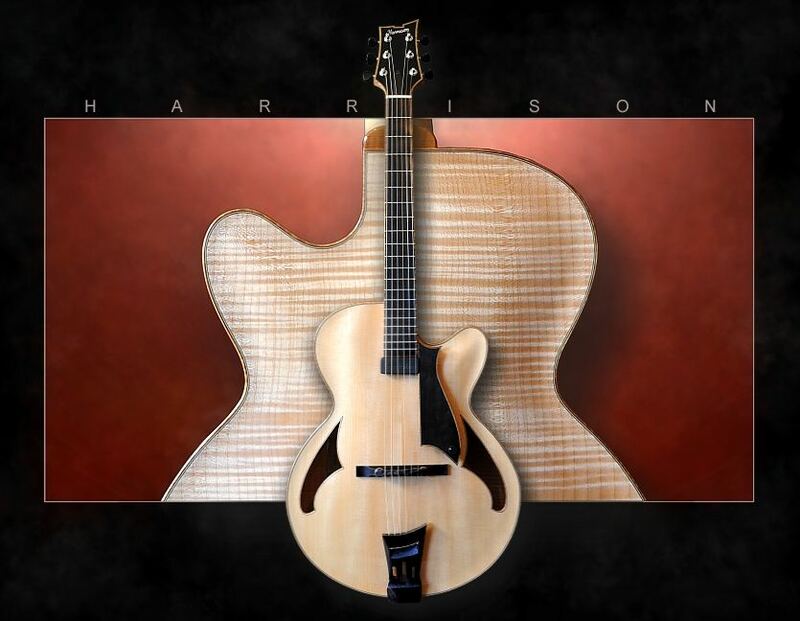 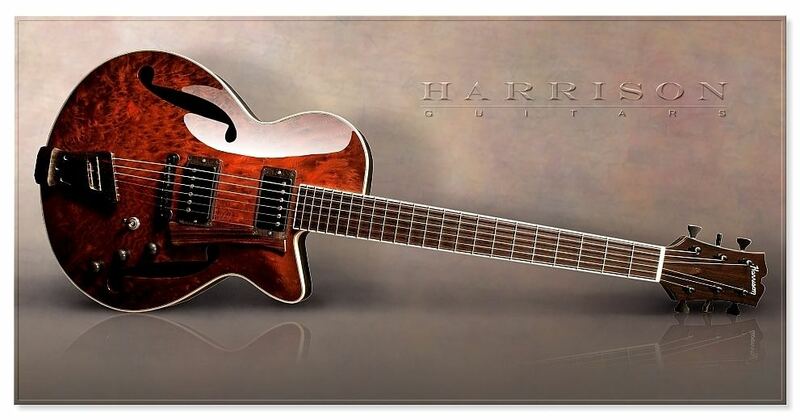 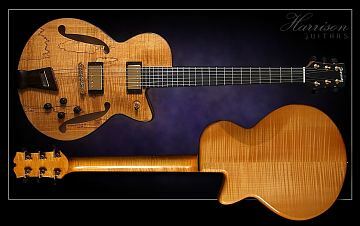 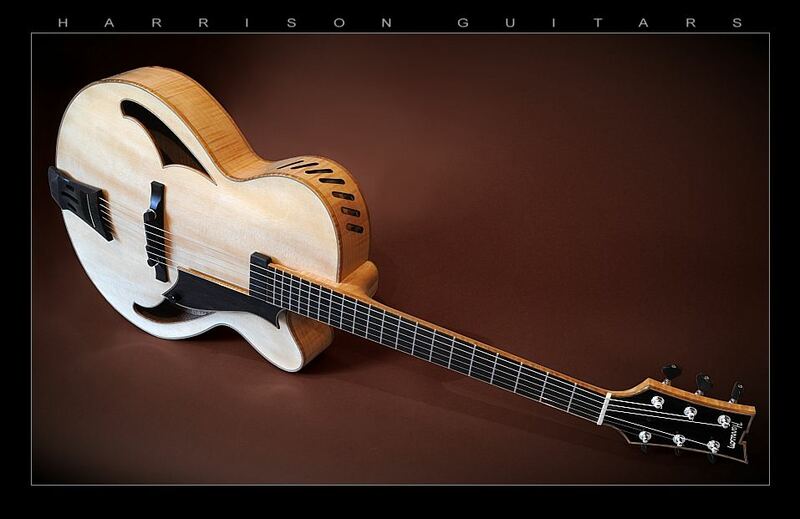 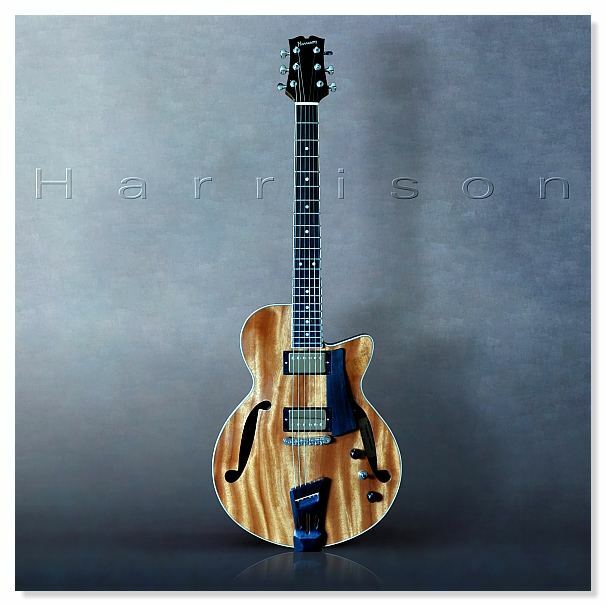 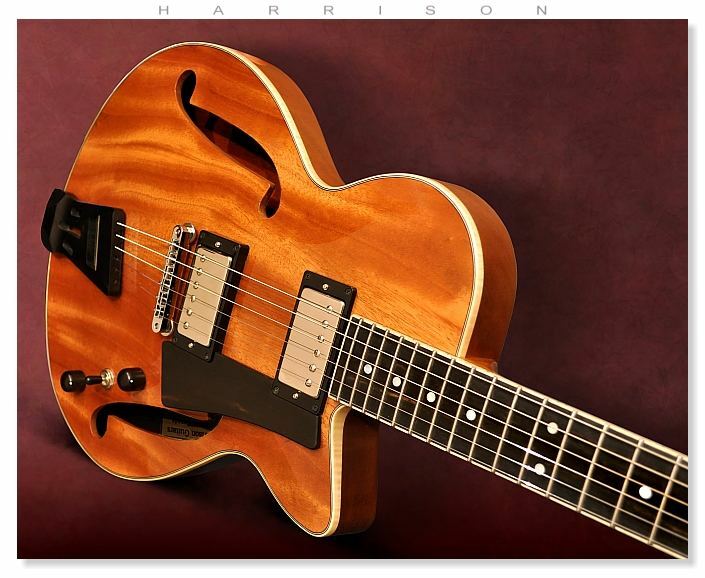 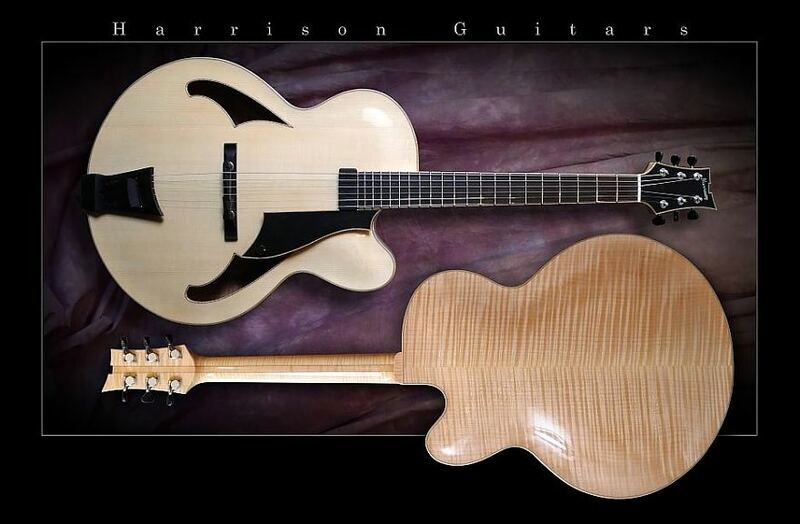 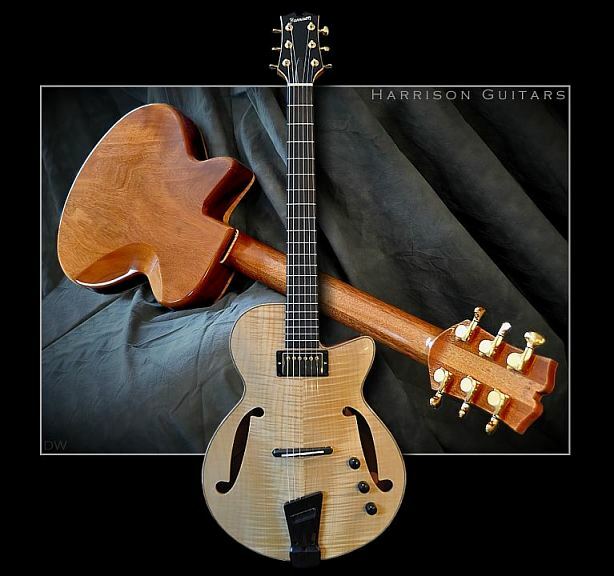 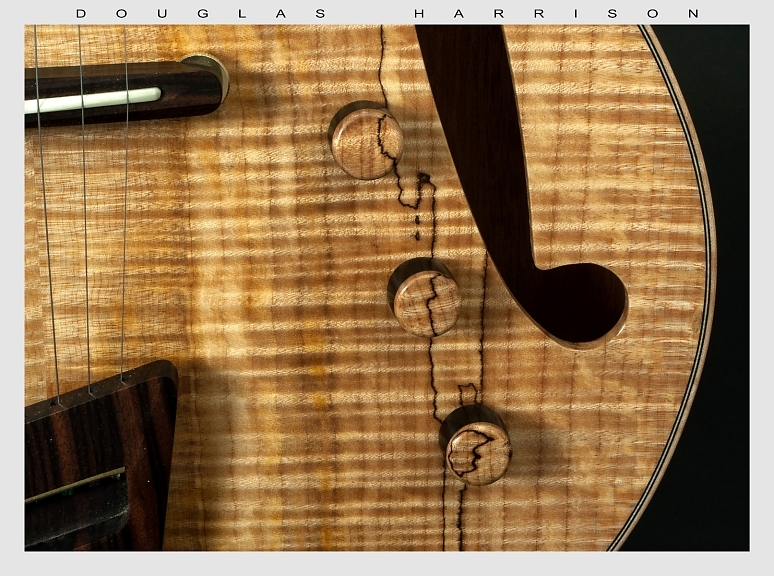 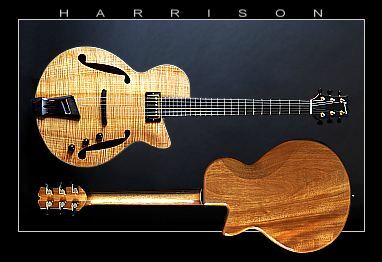 Here are just a few examples of some custom Harrison guitar commissions.